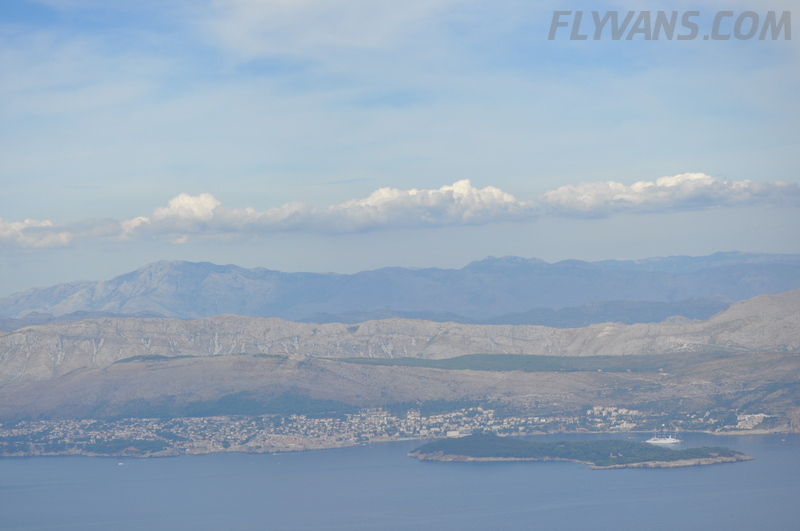 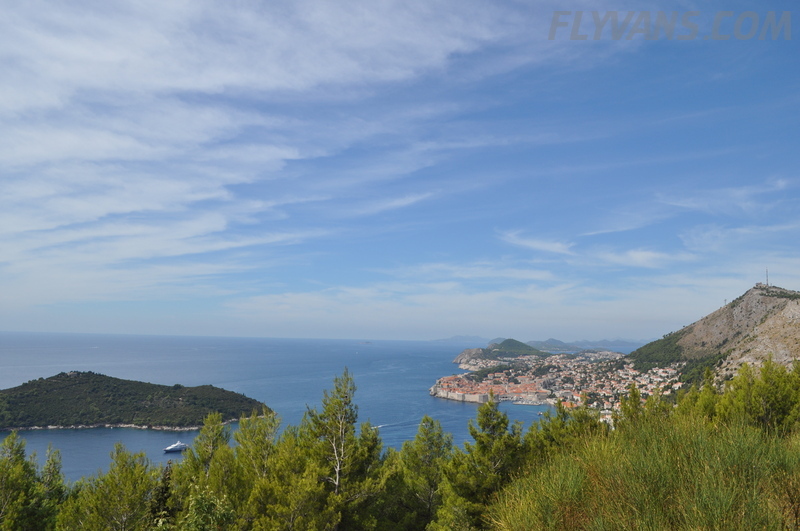 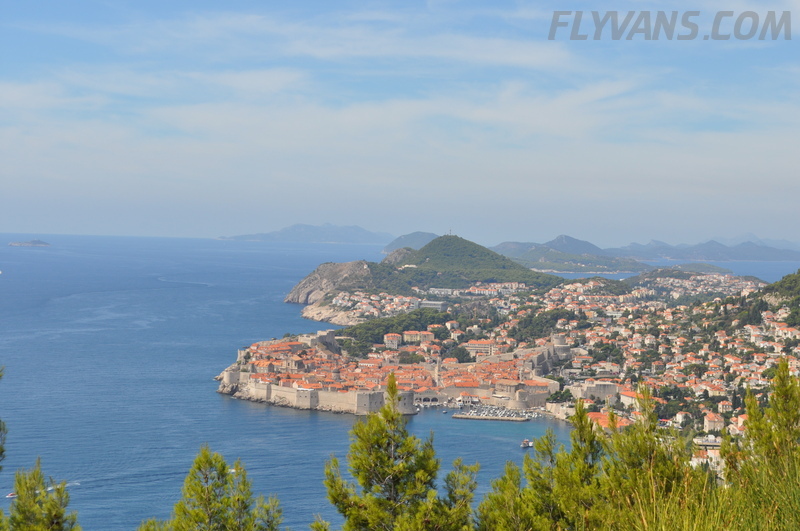 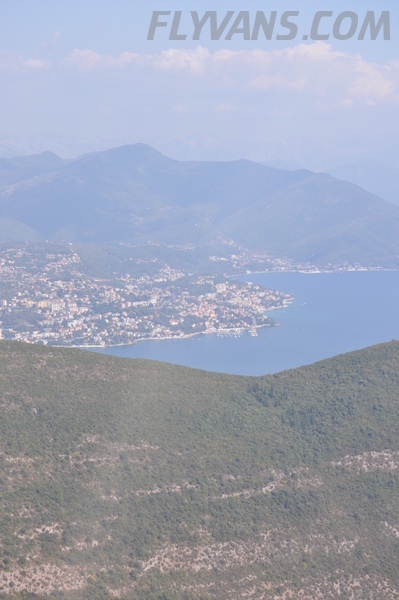 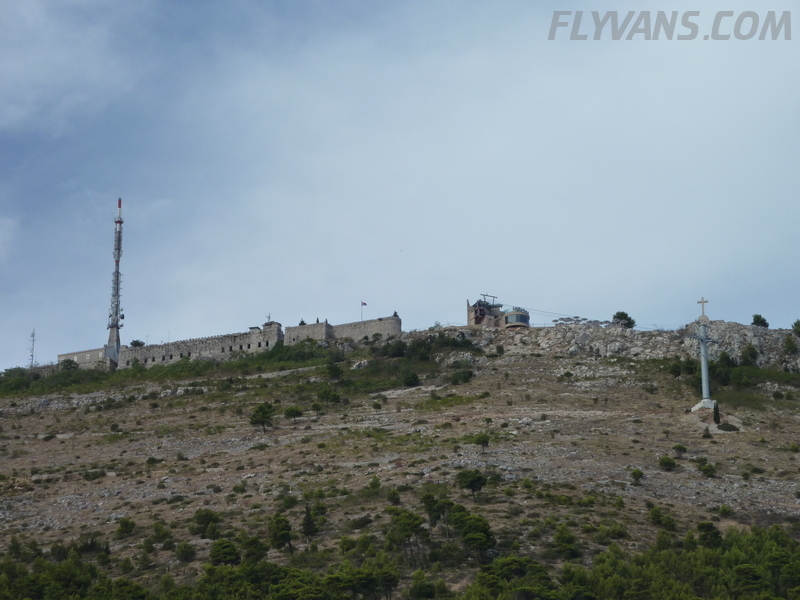 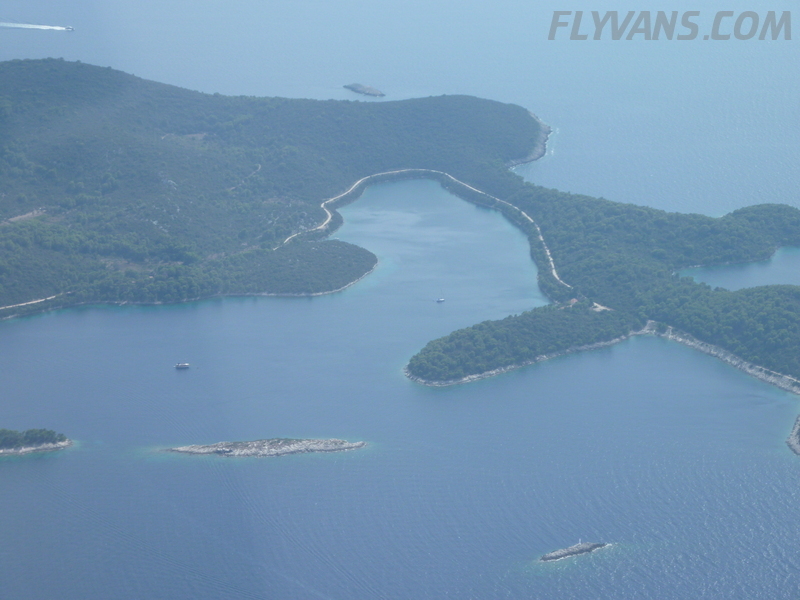 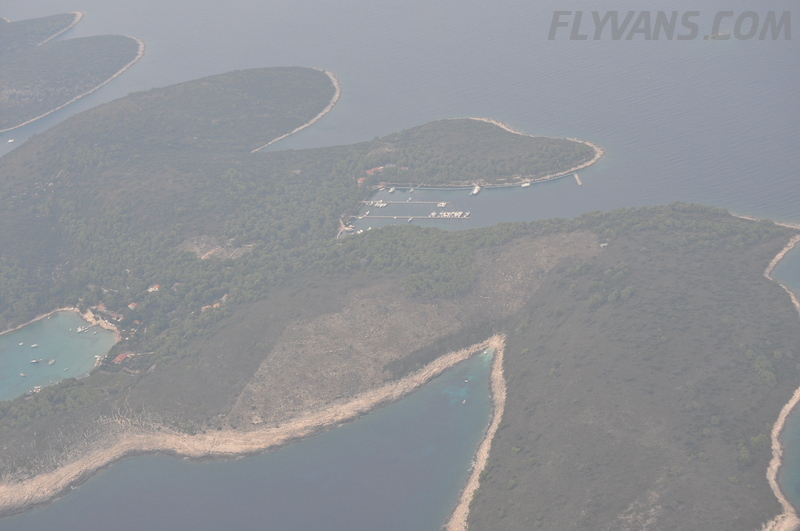 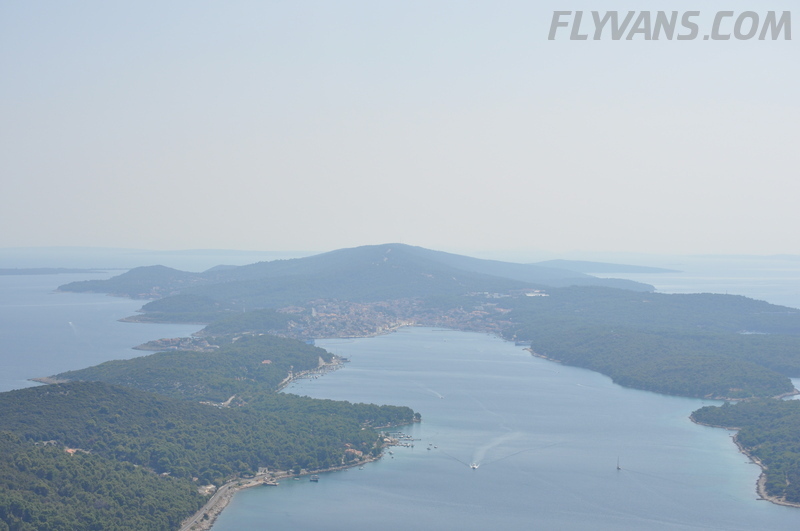 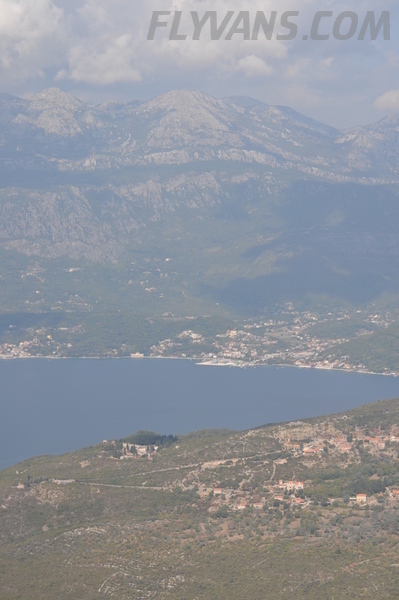 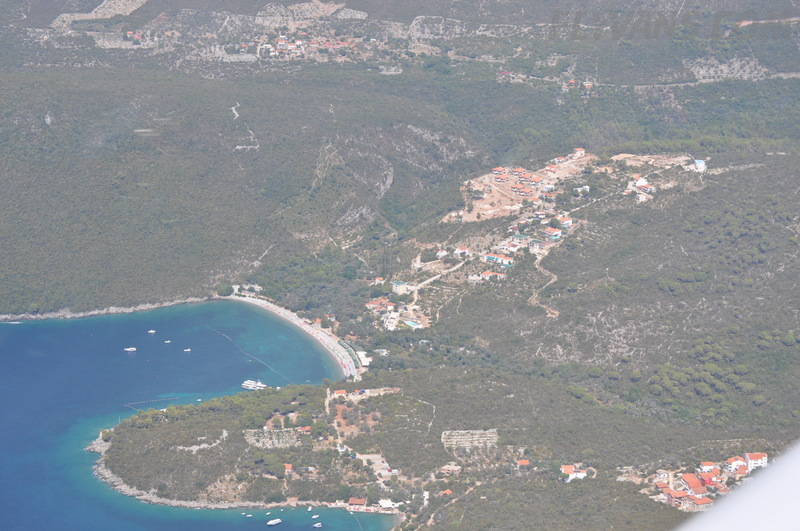 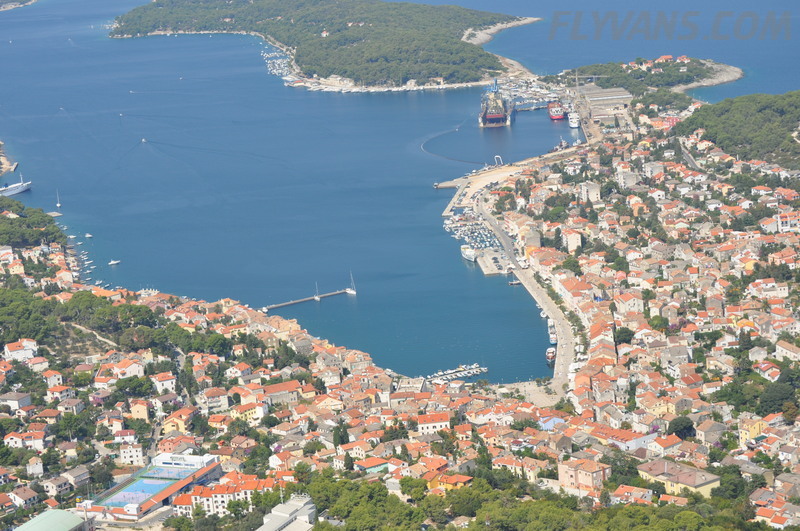 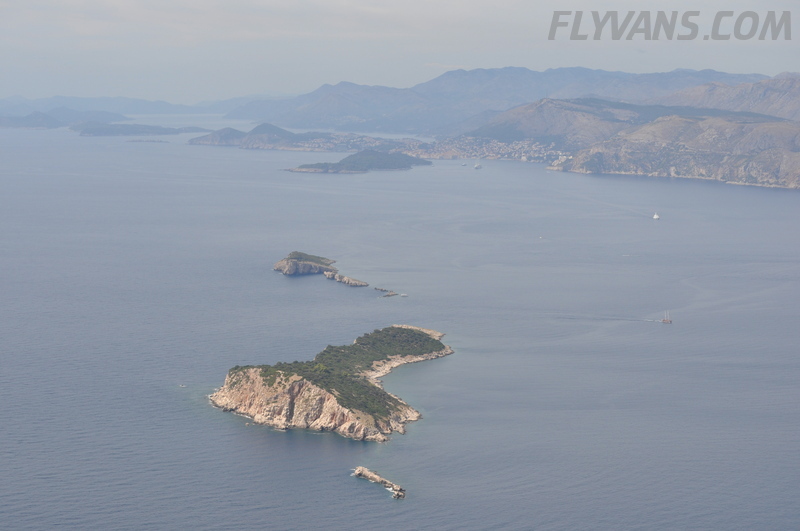 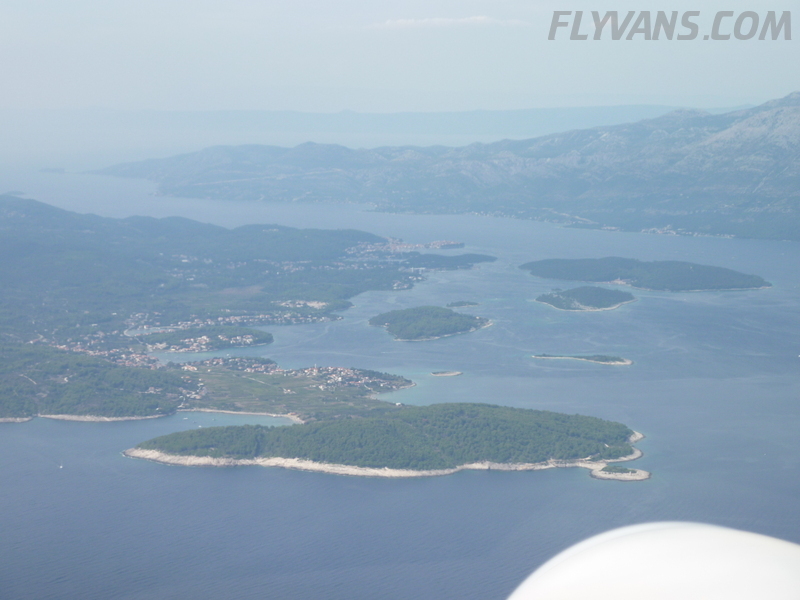 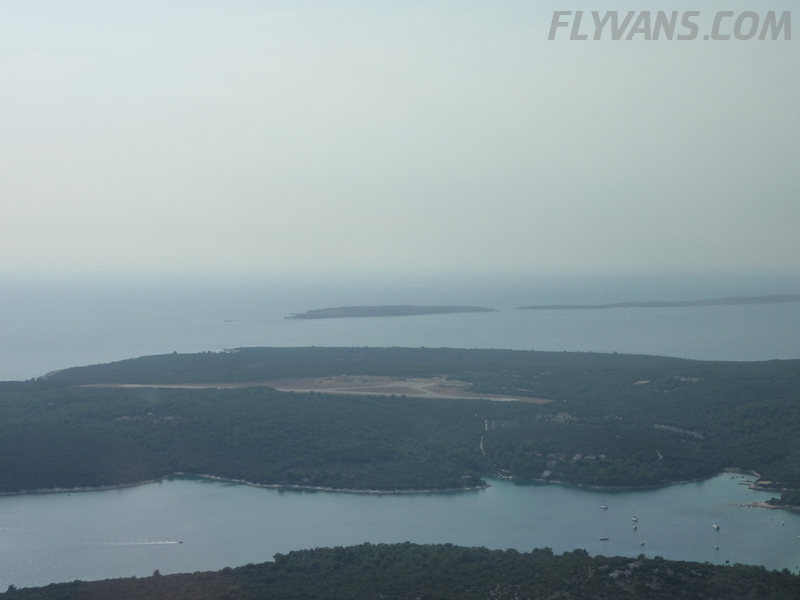 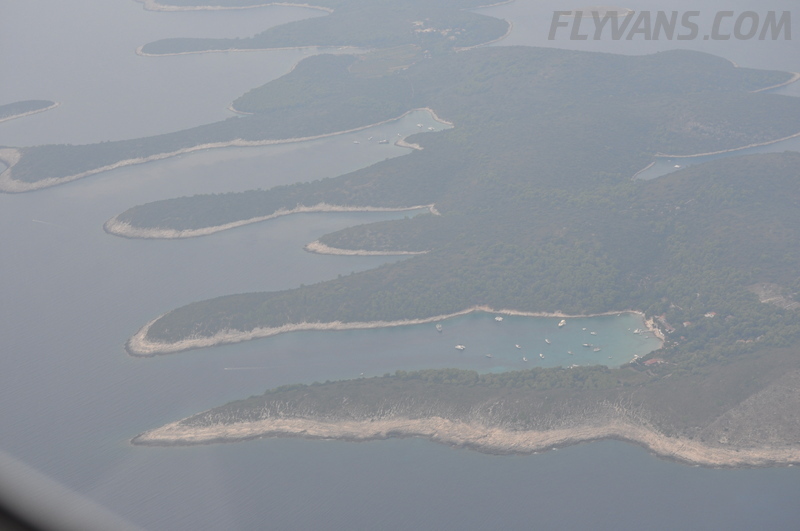 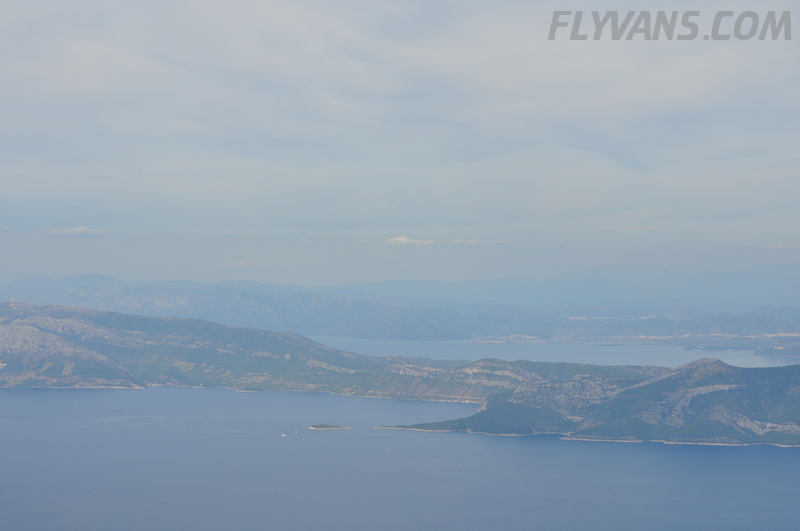 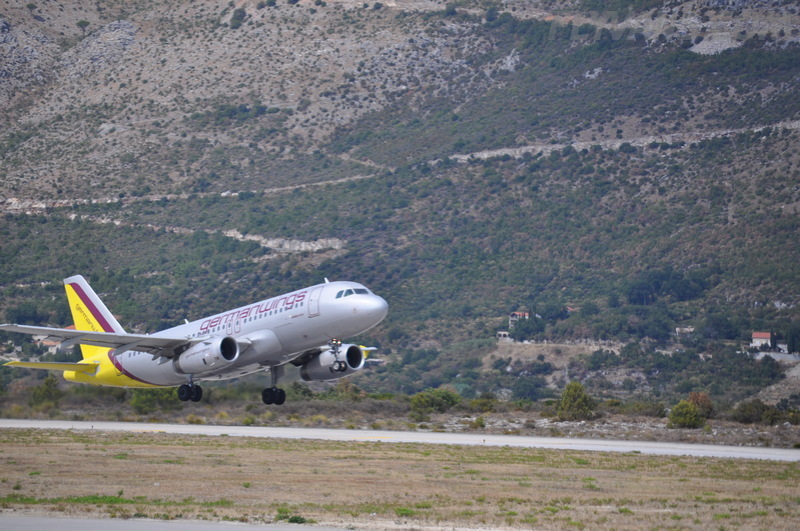 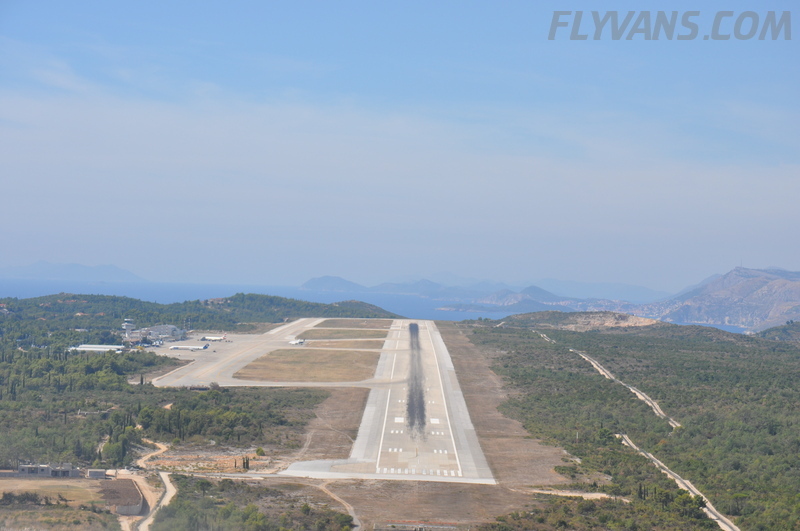 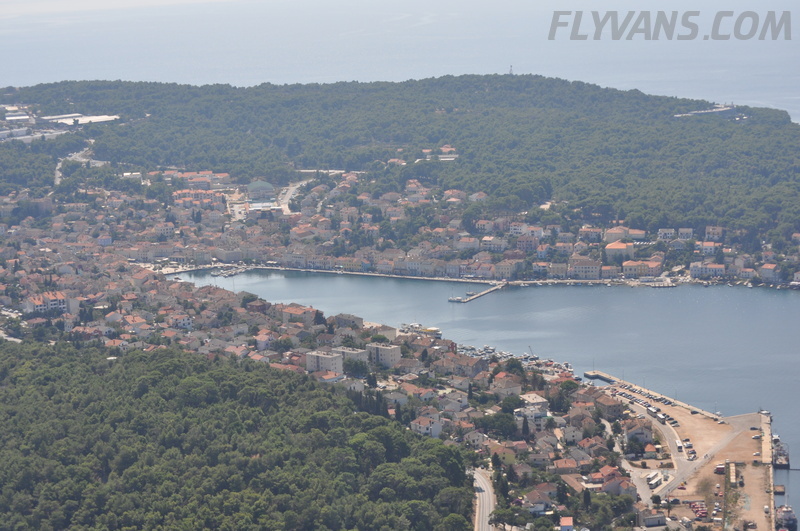 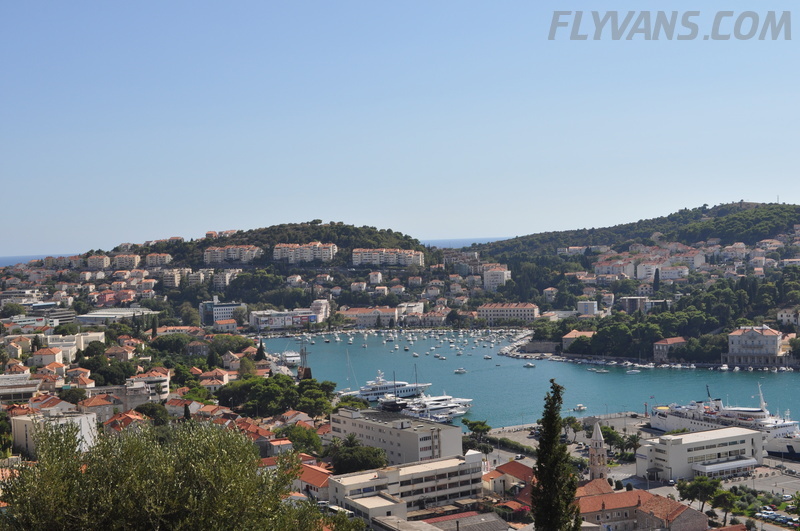 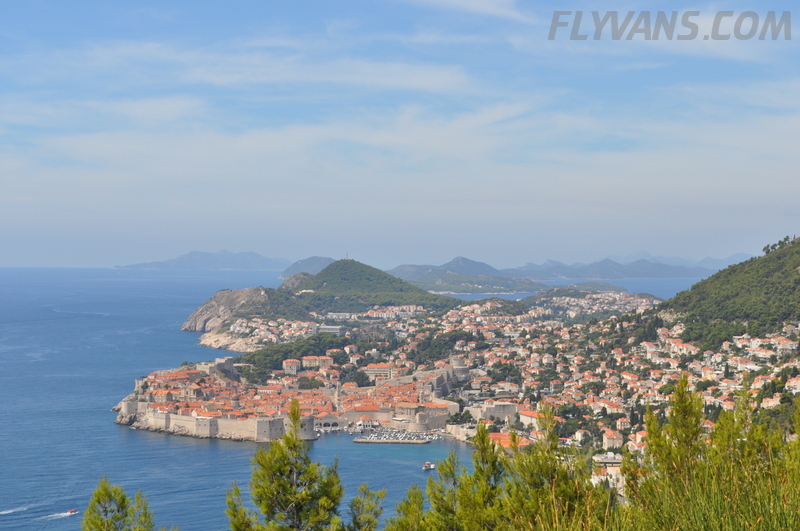 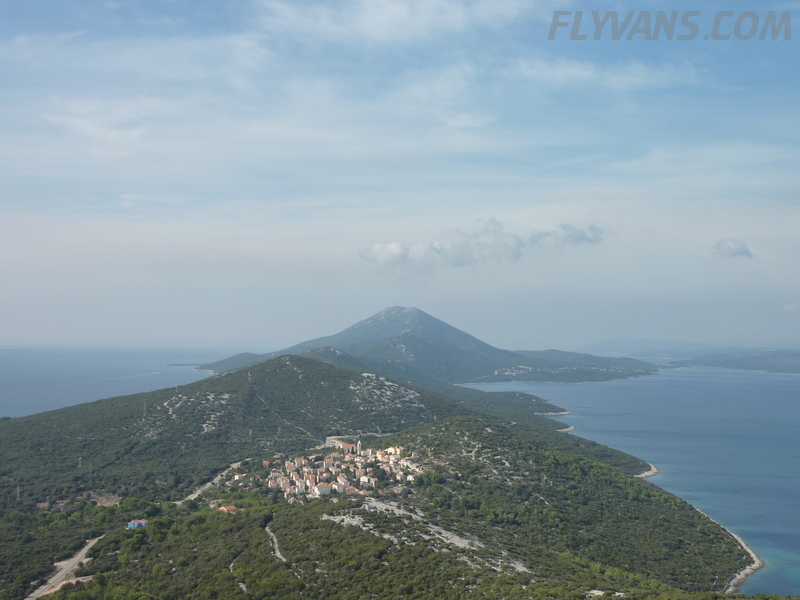 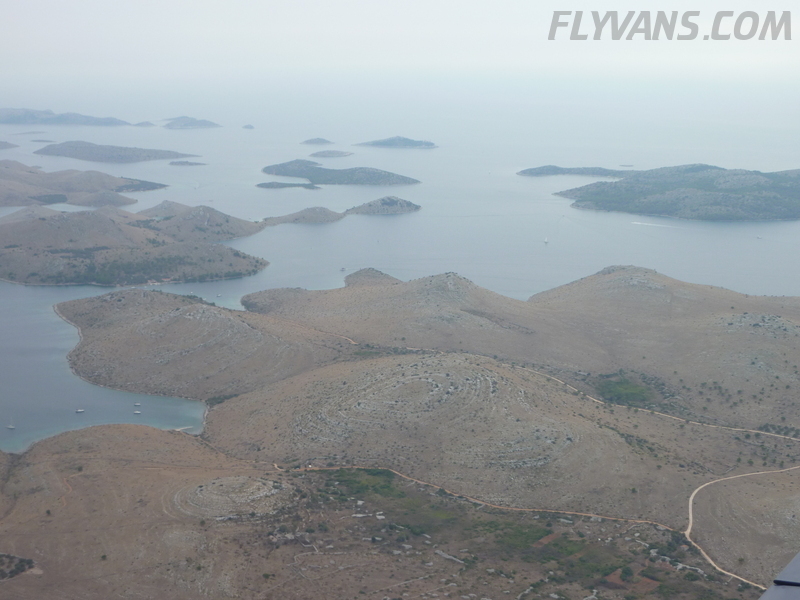 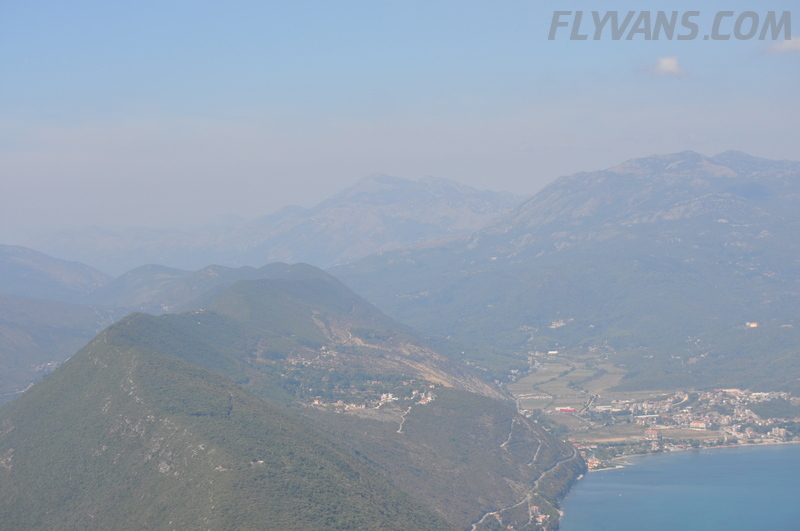 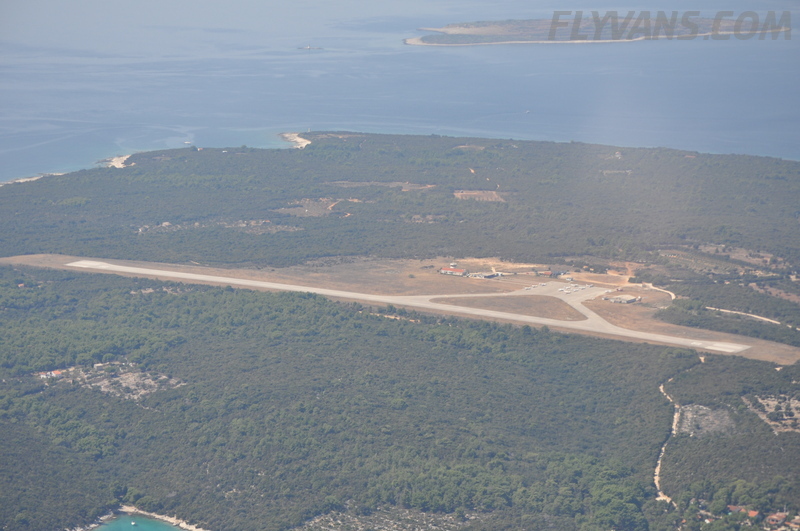 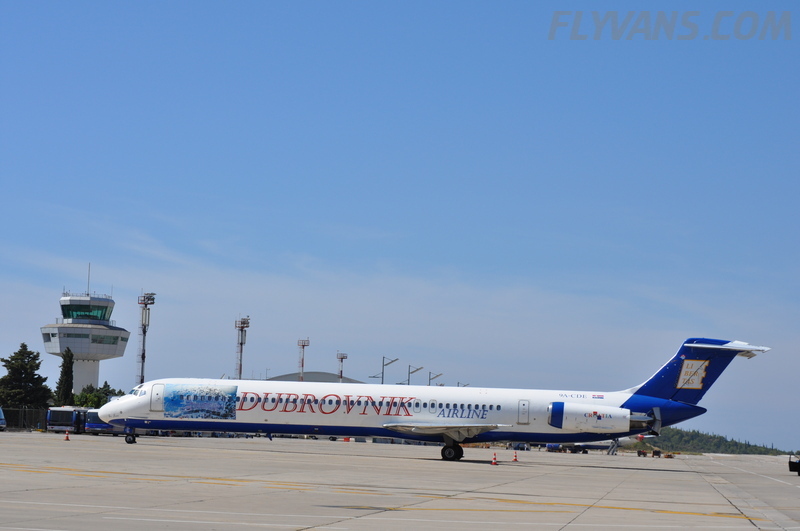 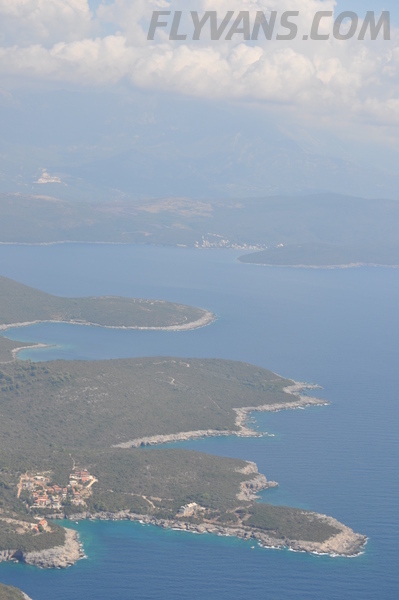 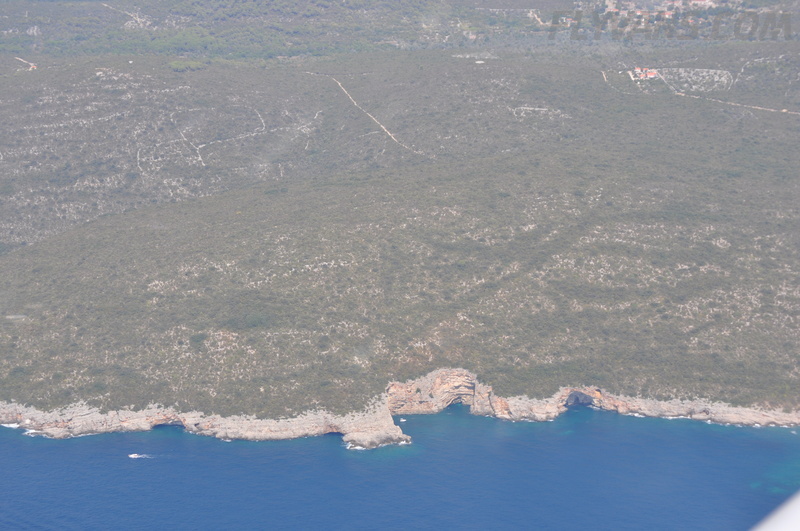 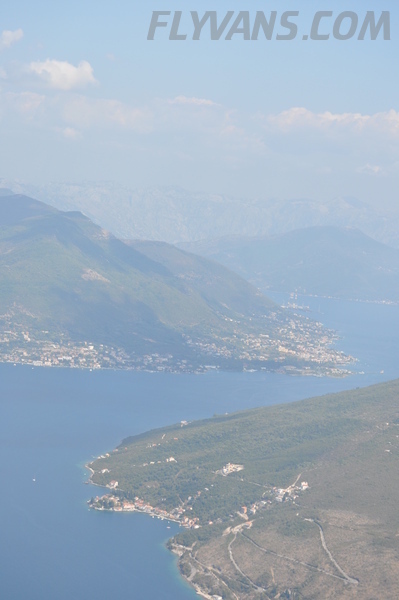 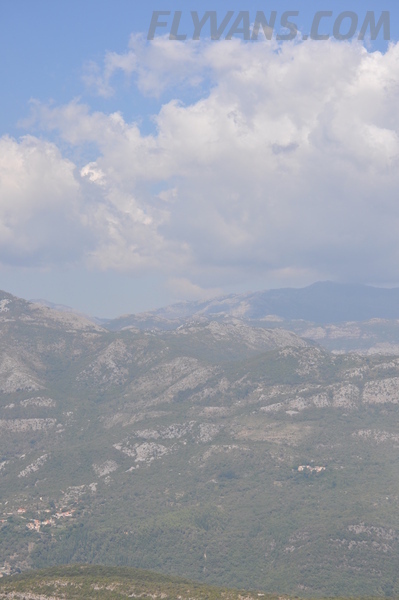 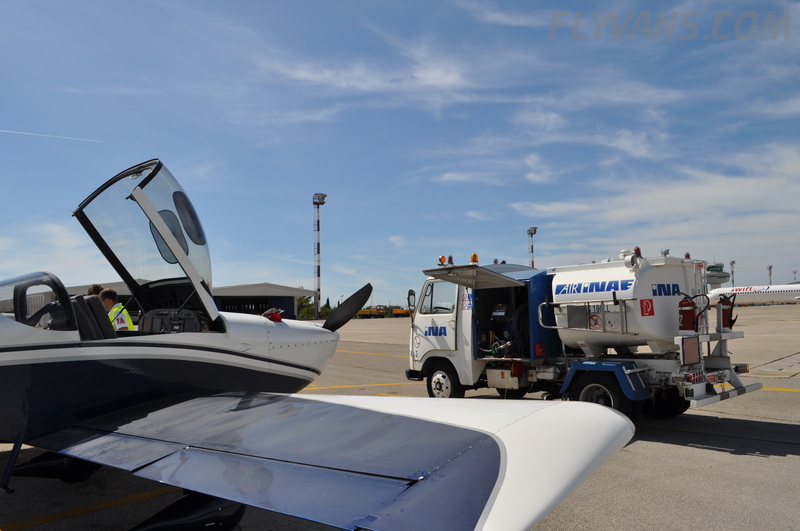 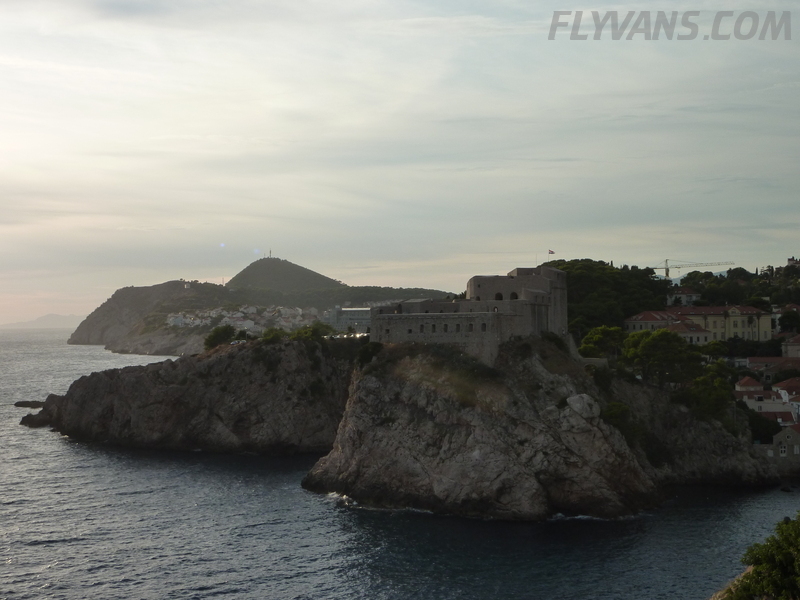 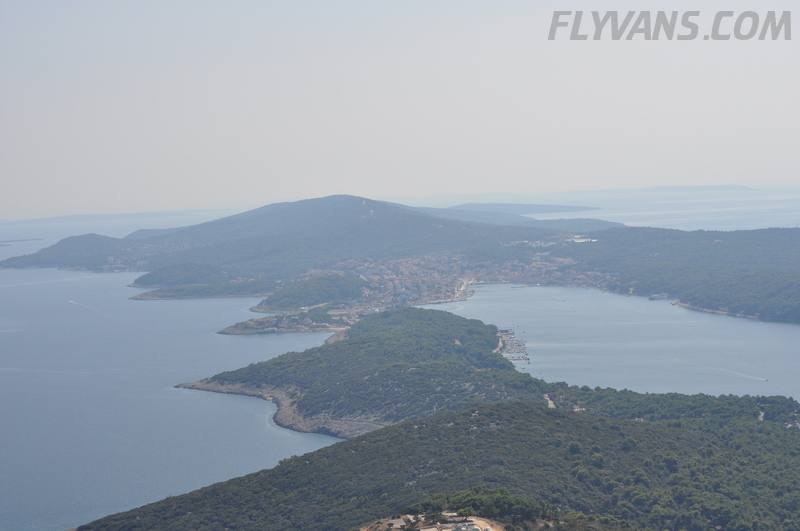 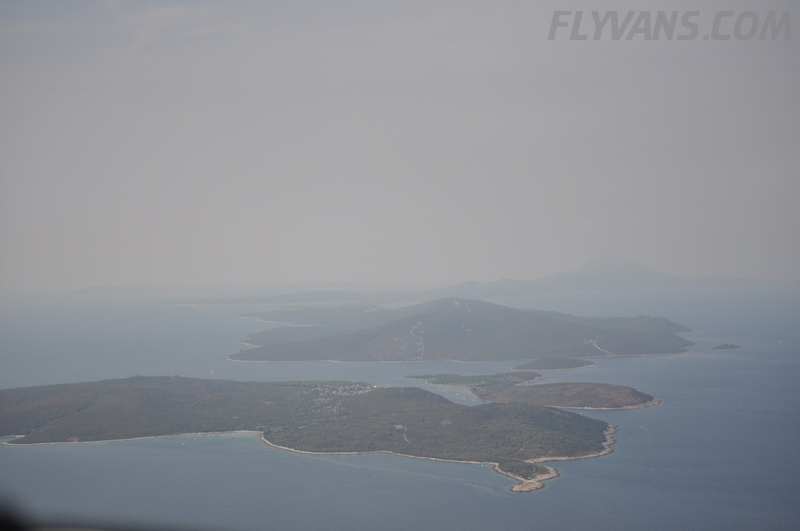 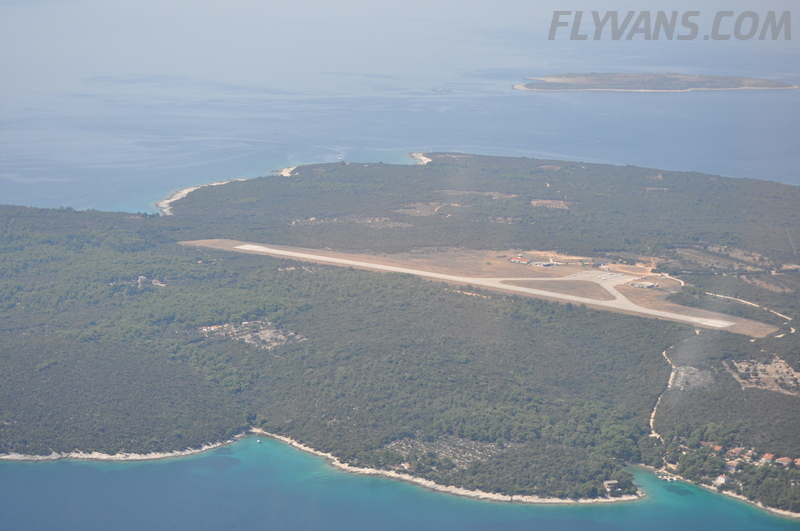 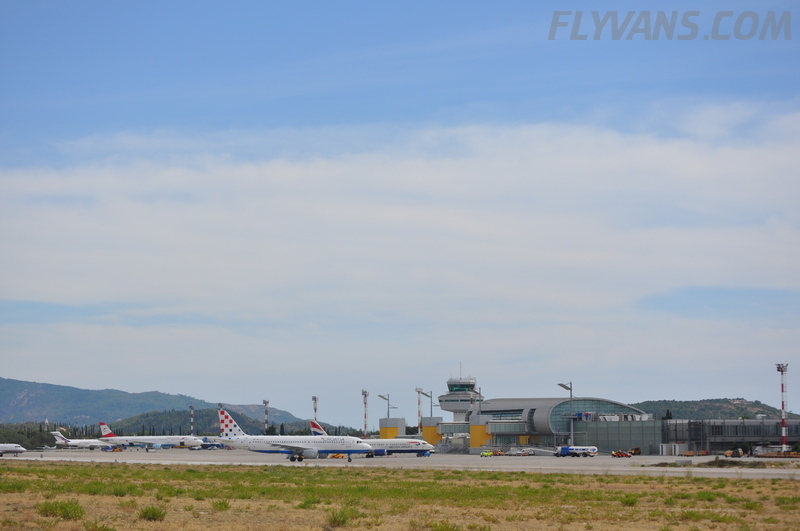 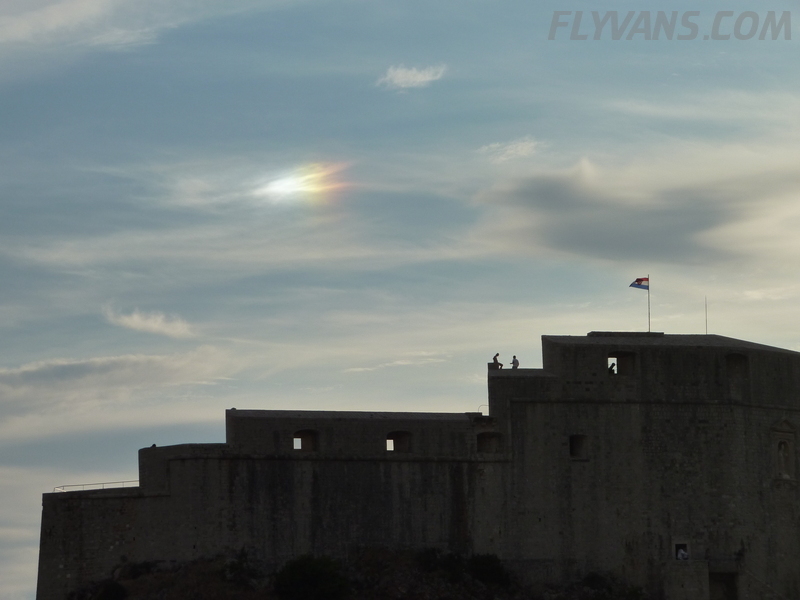 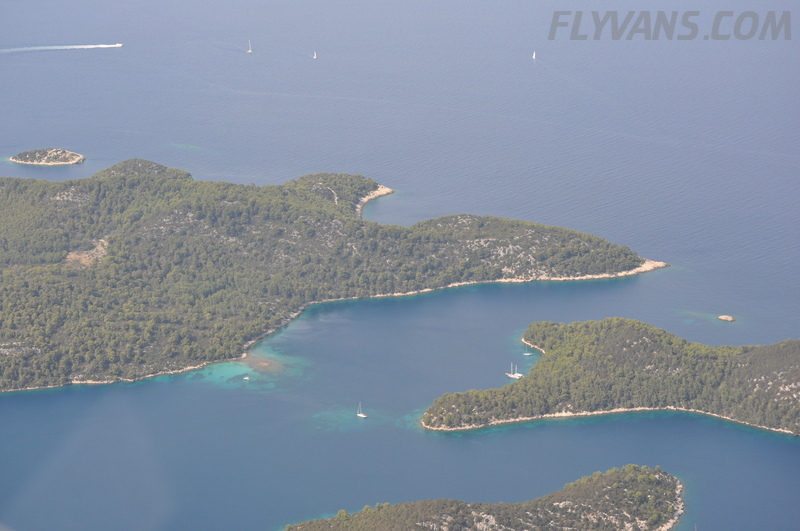 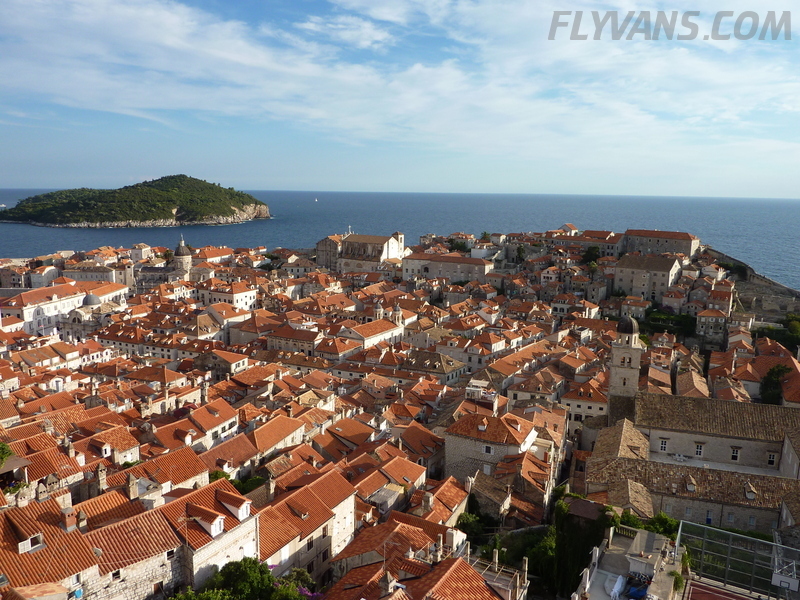 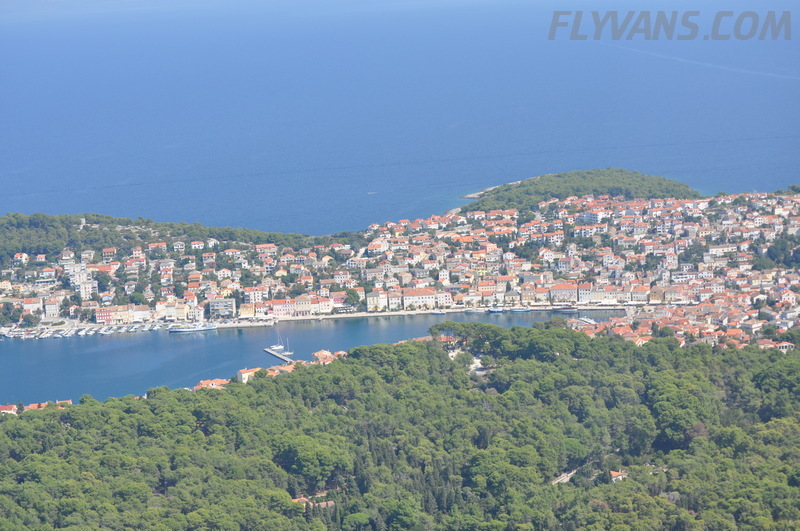 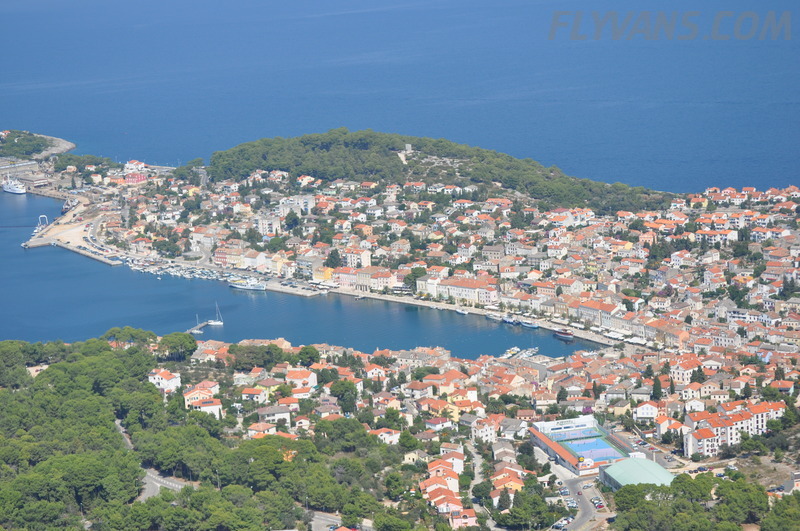 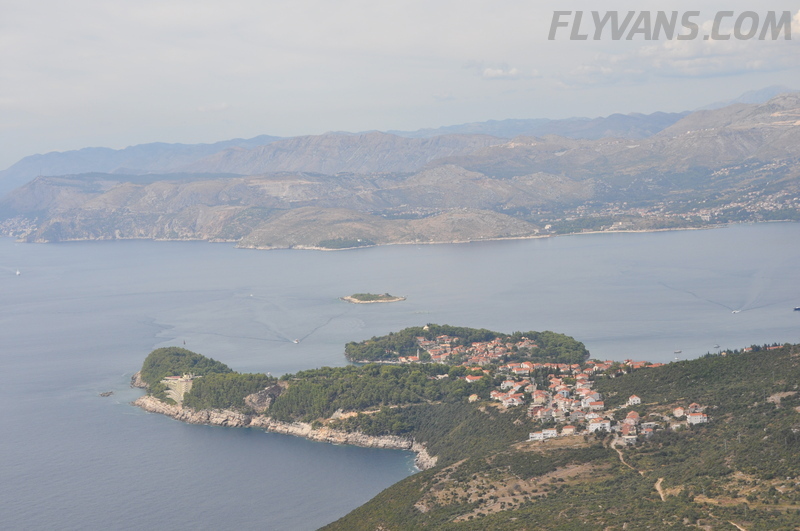 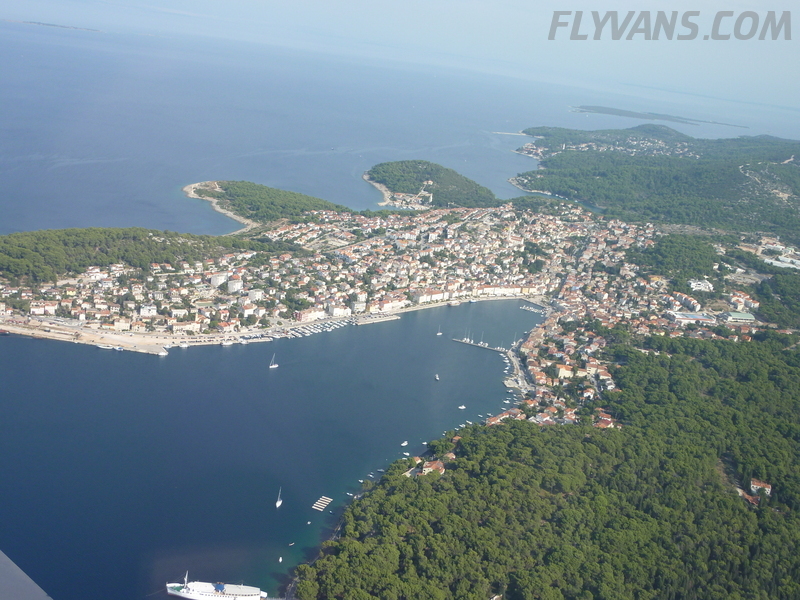 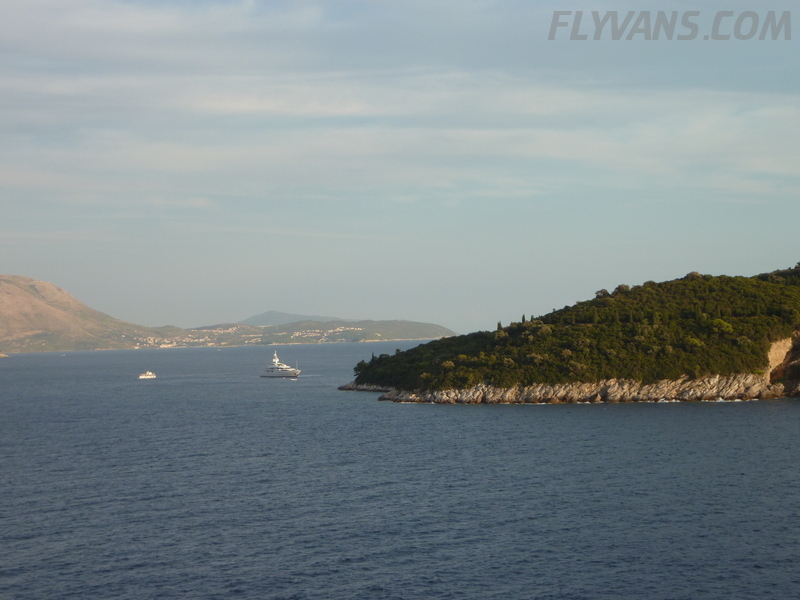 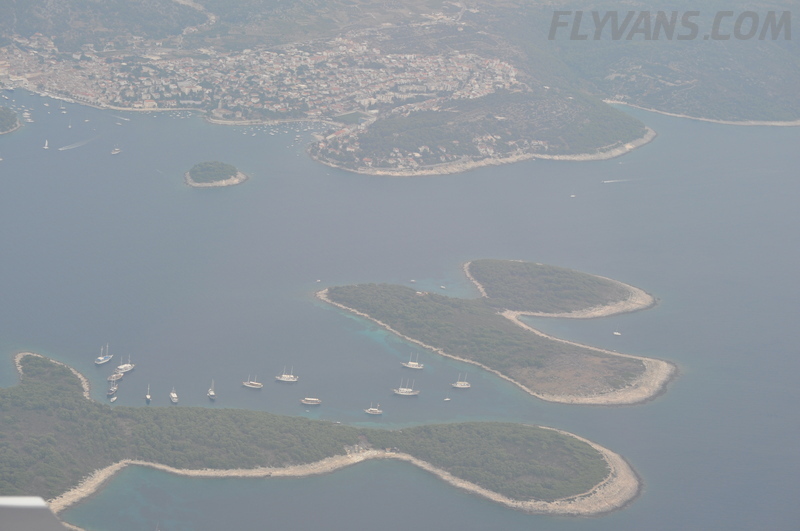 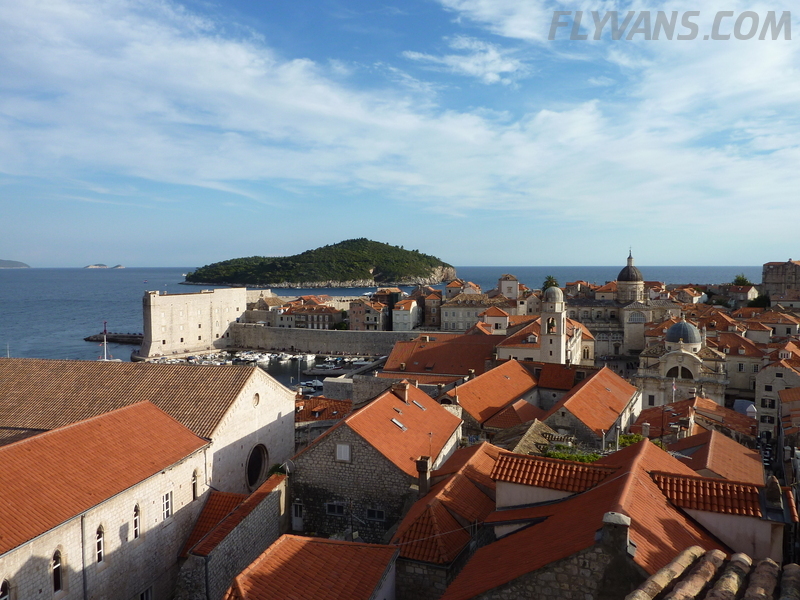 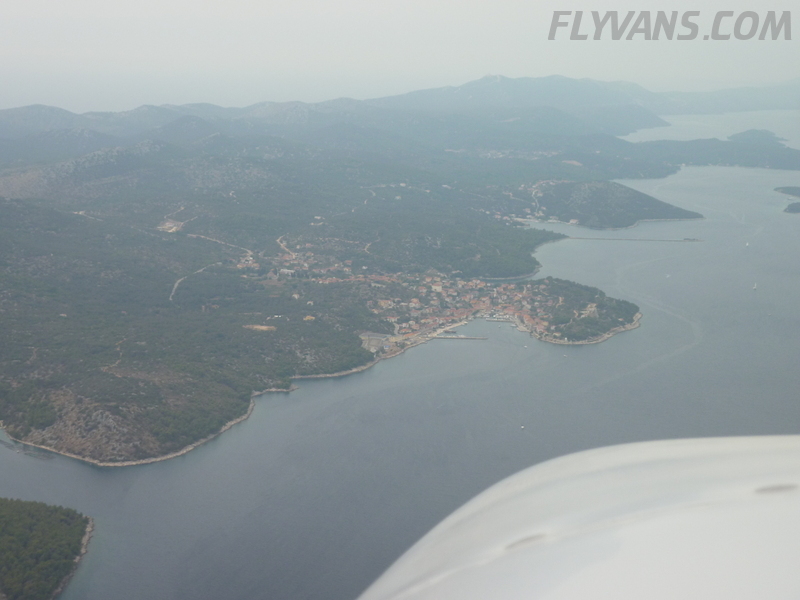 The flight from Dubrovnik to Losinj went all at low altitude along the published VFR-Adria routes. 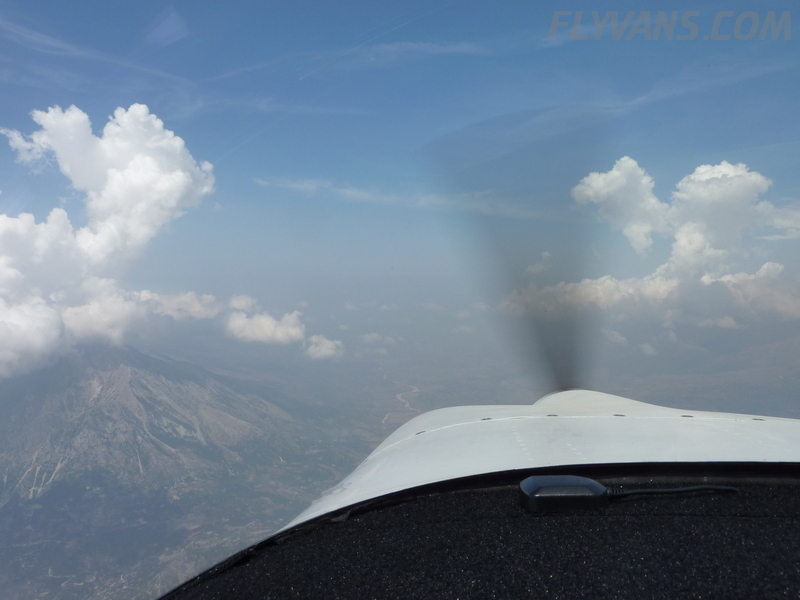 Waypoints/routes needs to be prepared but other than that no problem. 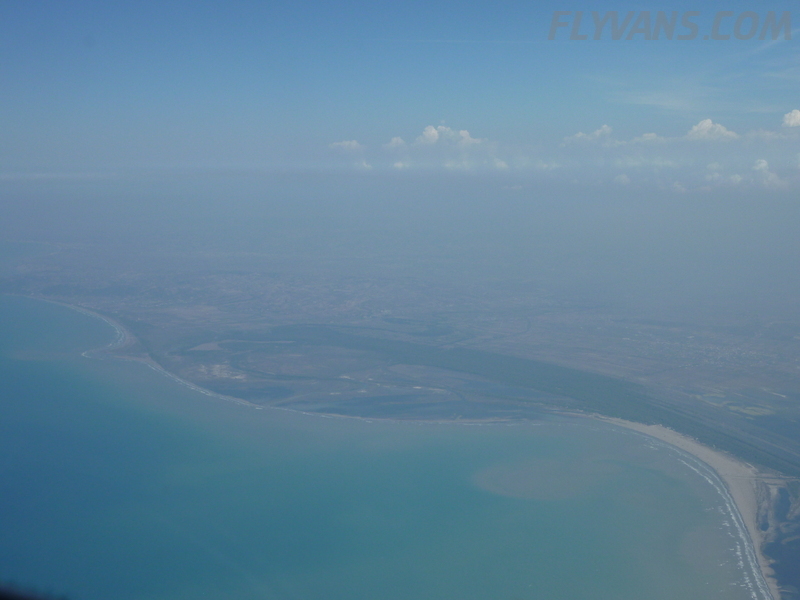 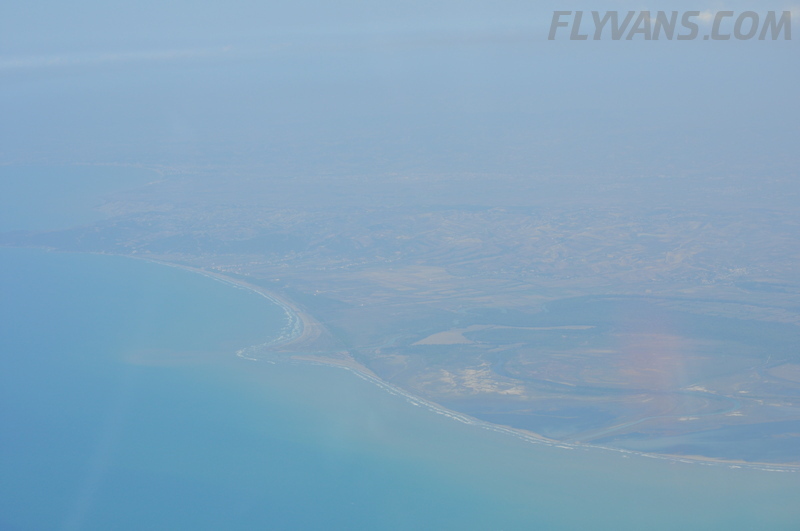 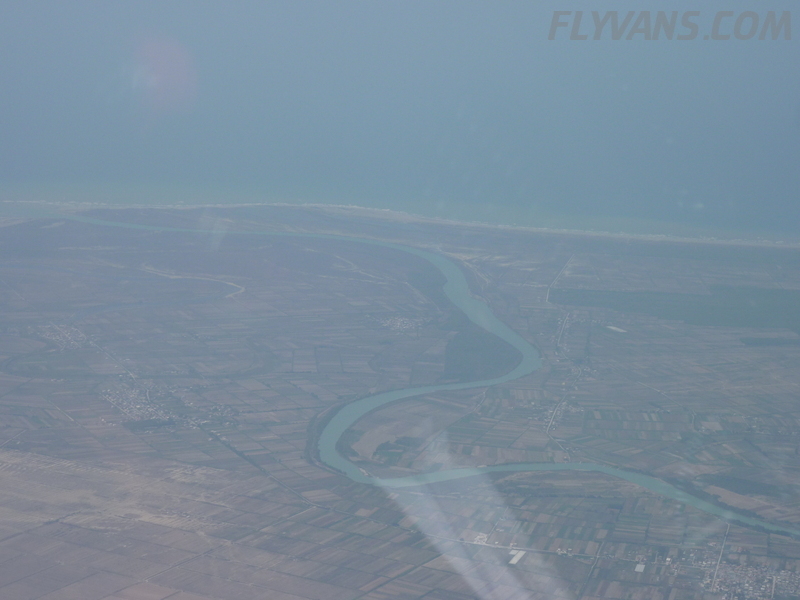 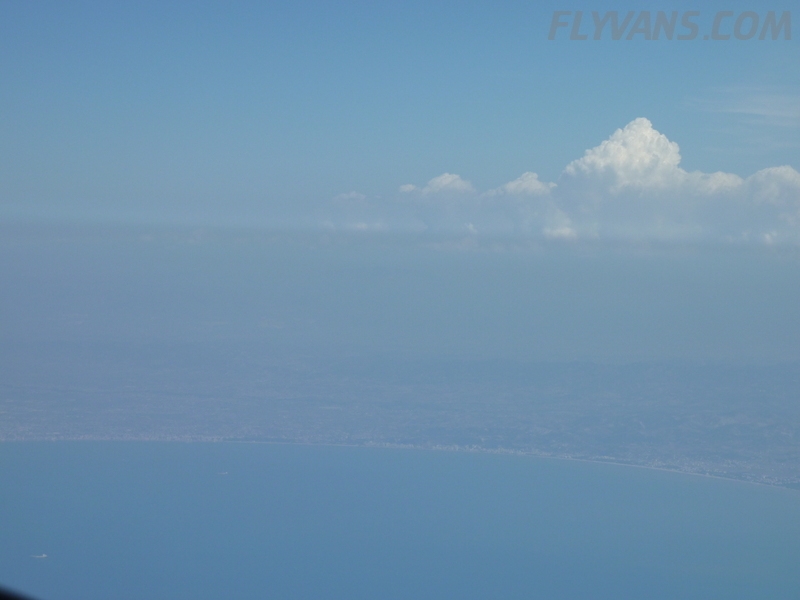 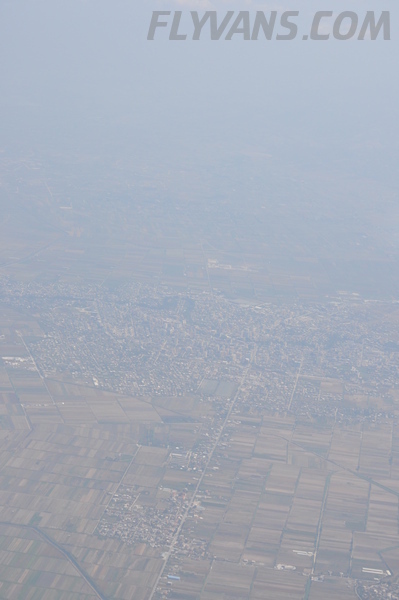 The routes are somewhat problematic though, in that there was quite a bit of opposite traffic and at the same altitudes in very hazy conditions. 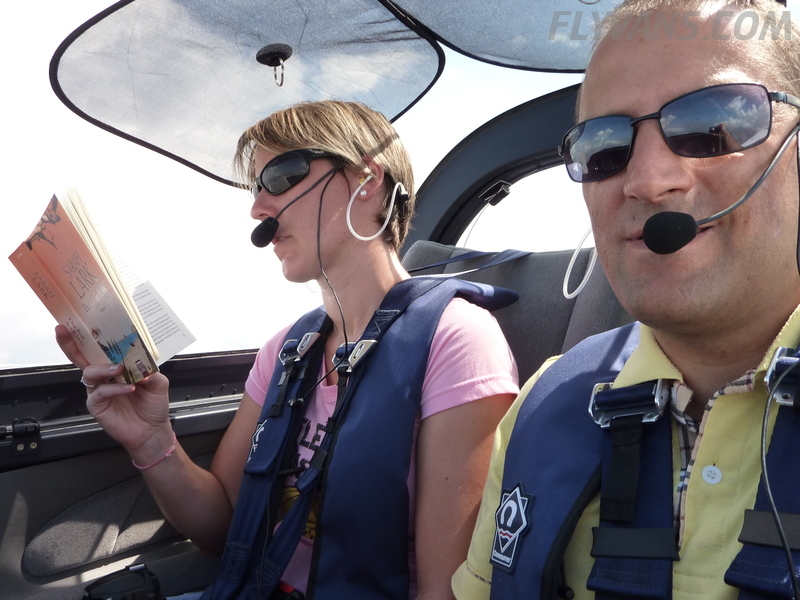 FIC was a great help and prevented quite a few potentially nasty encounters. 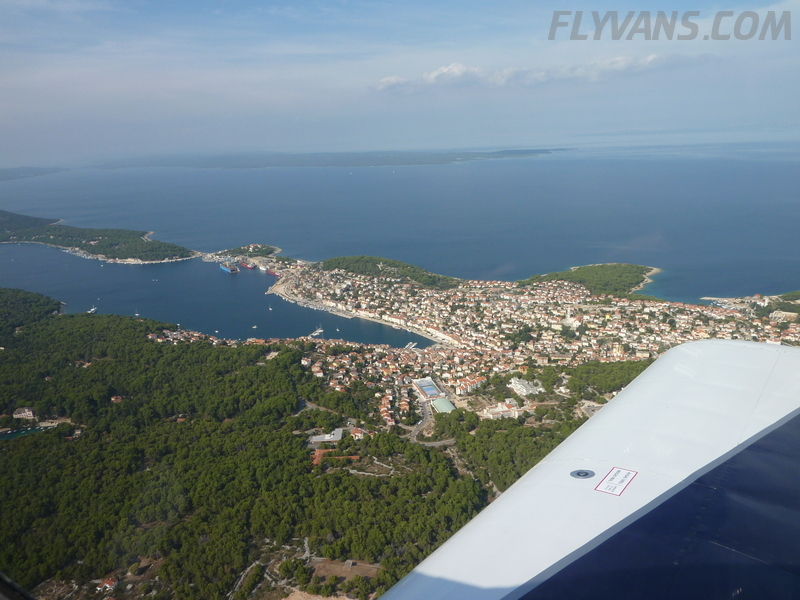 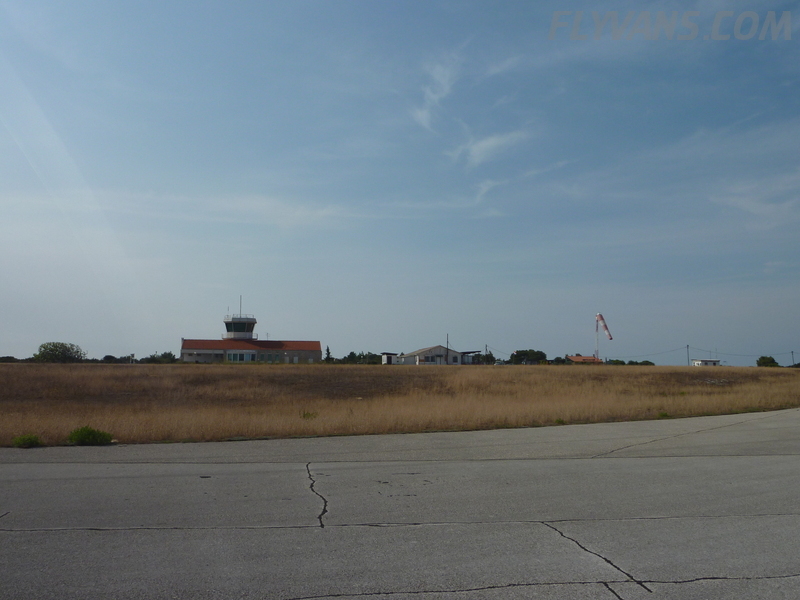 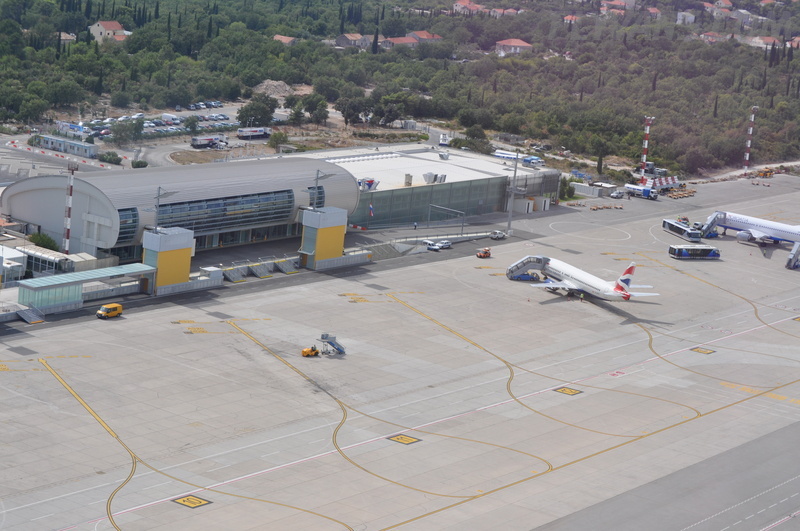 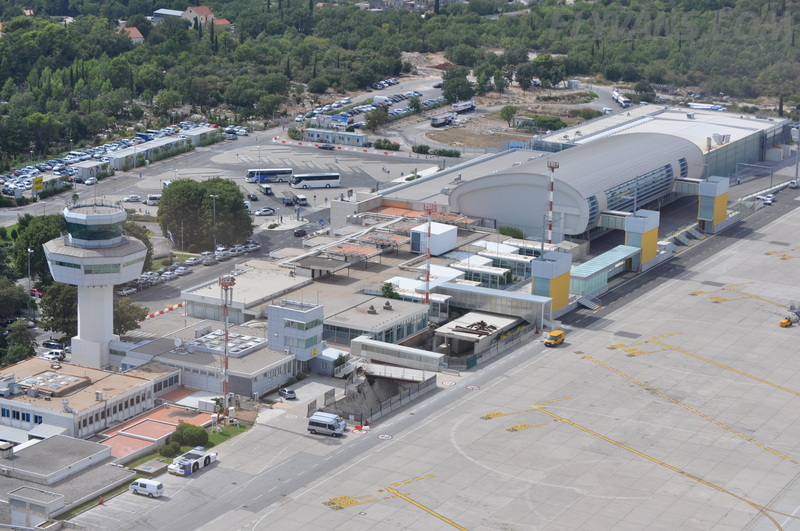 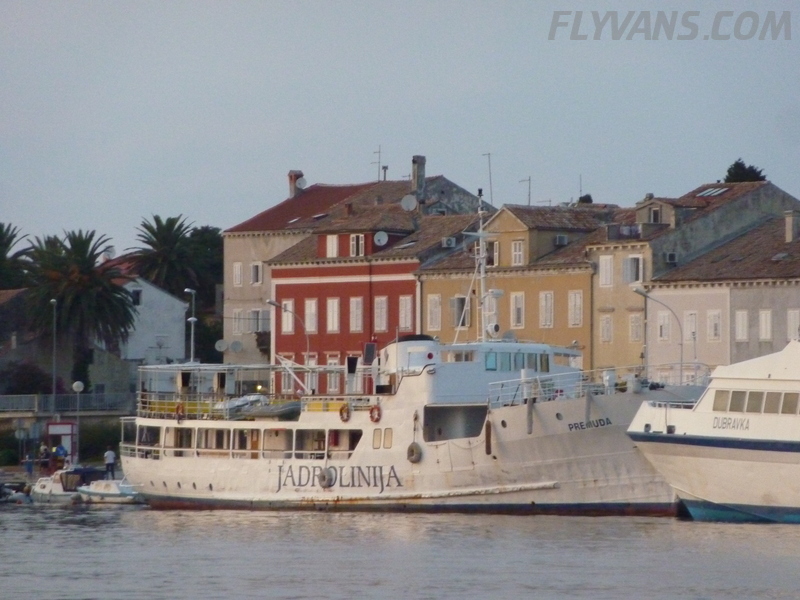 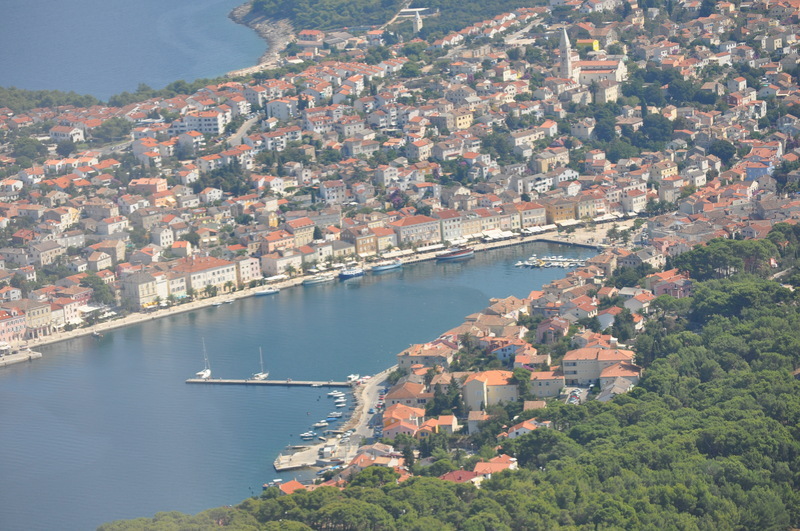 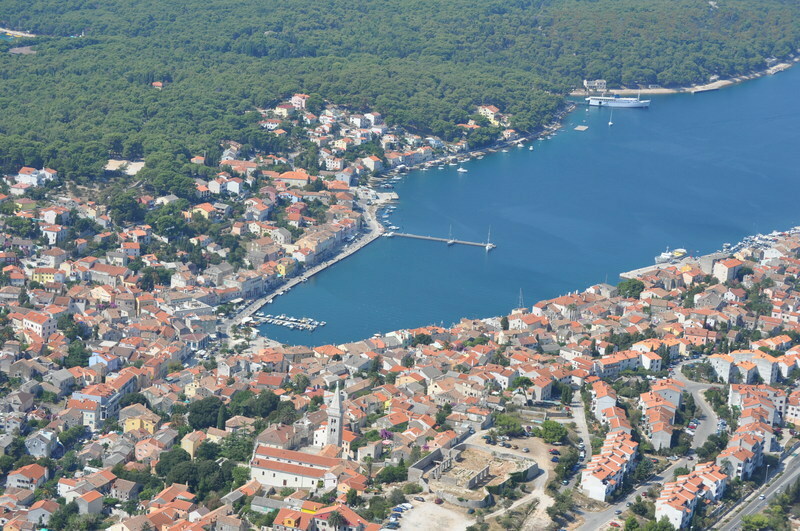 One of the only aha-moments regarding the planning was when 20min before landing, the controller told us that Losinj was going to close in like 28minutes… Ooops. 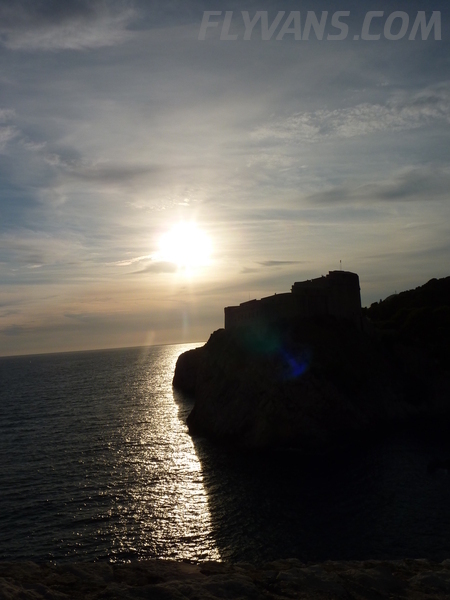 We had expected (and verified) opening times until sunset during planning about a month before the trip. 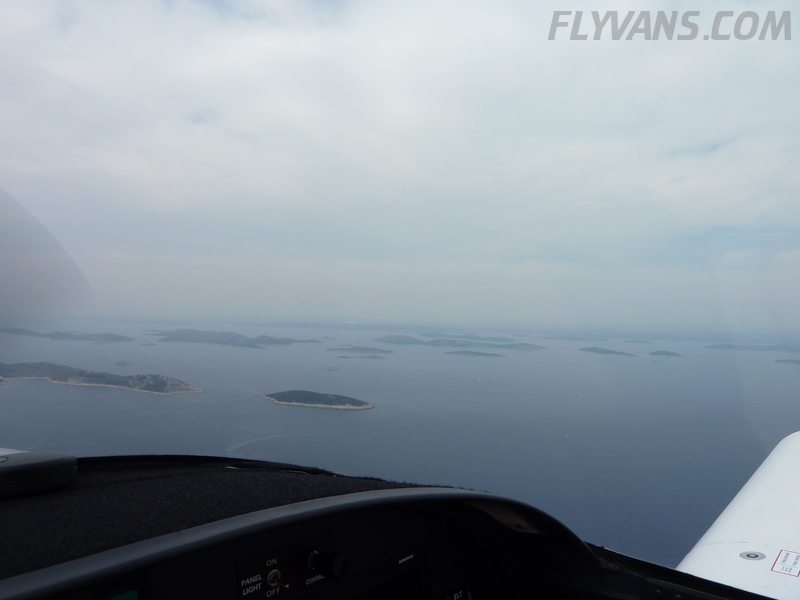 Answer was in a cryptic trigger NOTAM for some AIC that was not apparent as such. 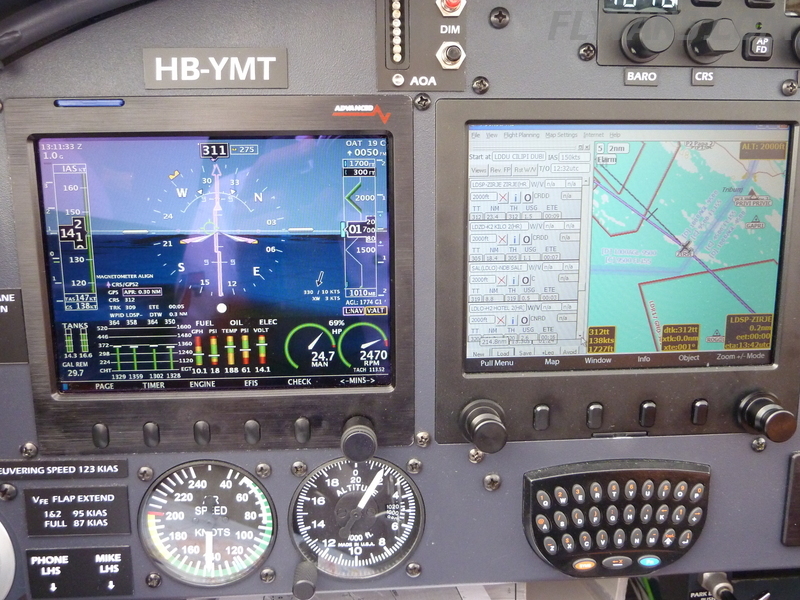 Also, Jeppesen had not had the opportunity to publish the new times yet. 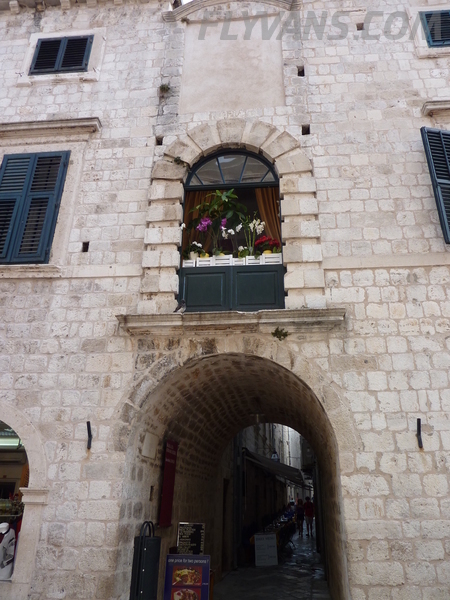 Not a very user friendly way to publish opening times. 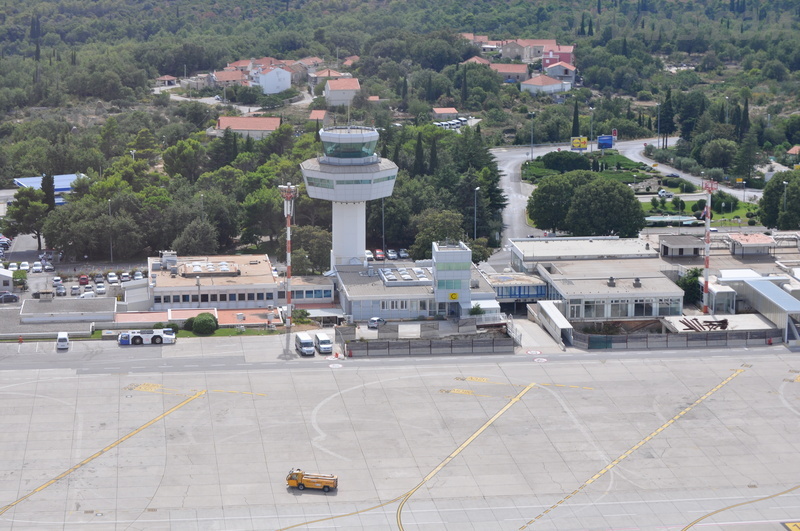 The Greek way of doing it in cleartext in the NOTAM is much more convenient and useful. 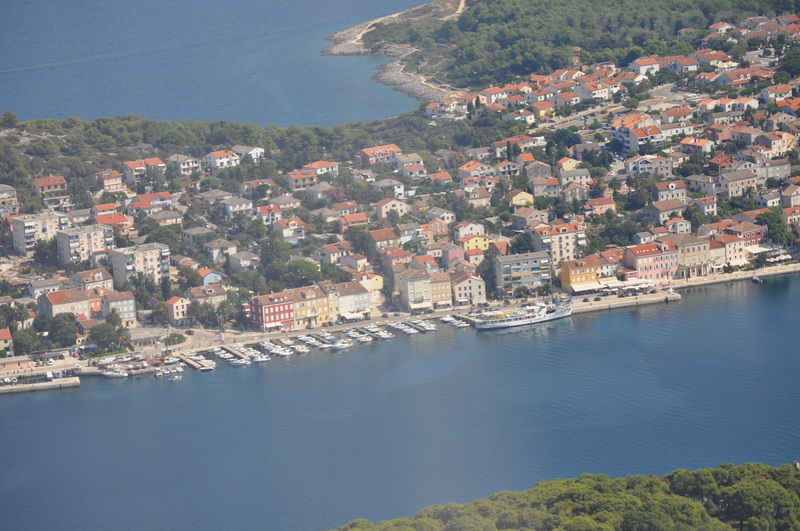 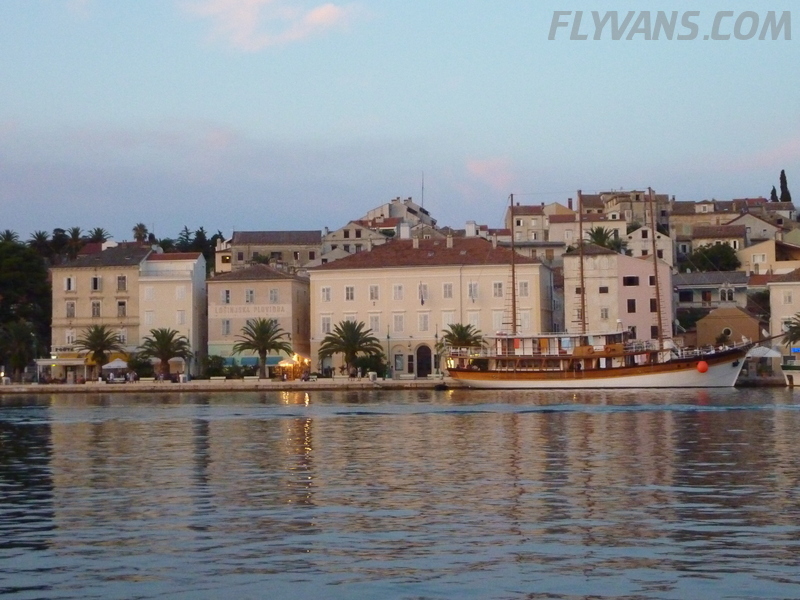 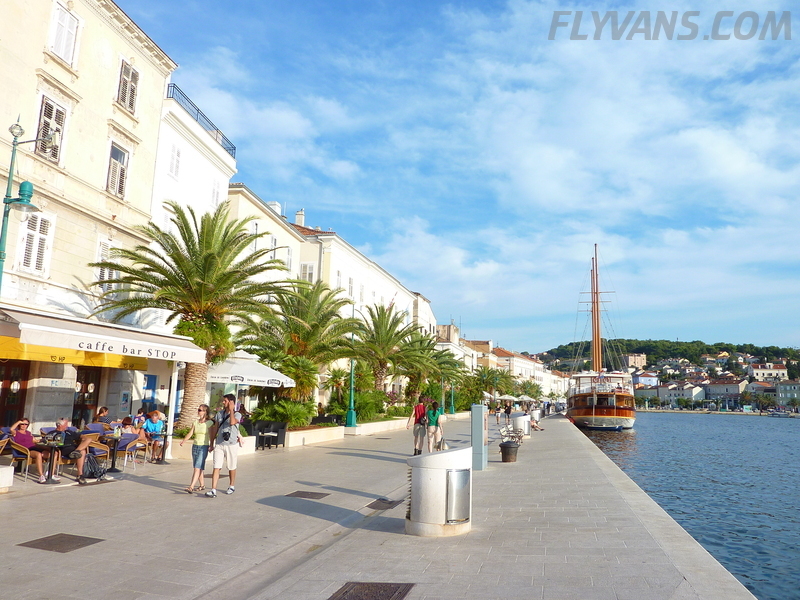 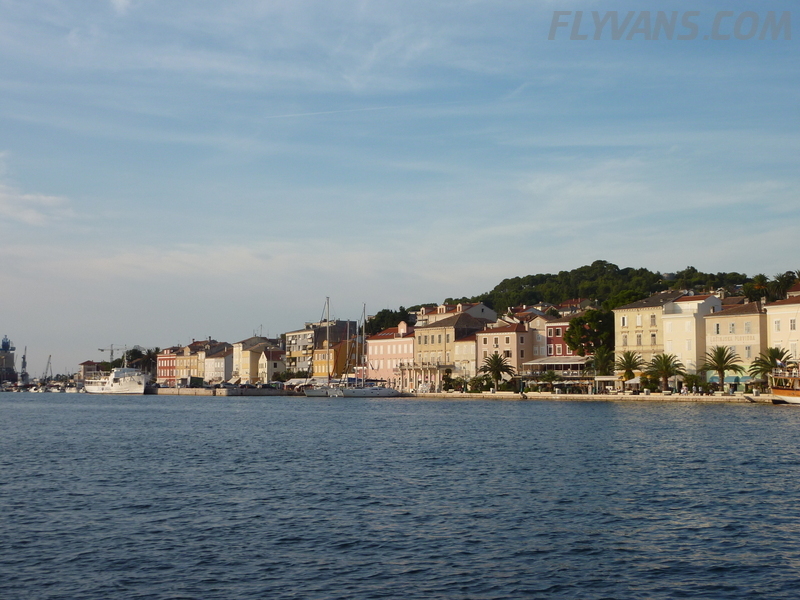 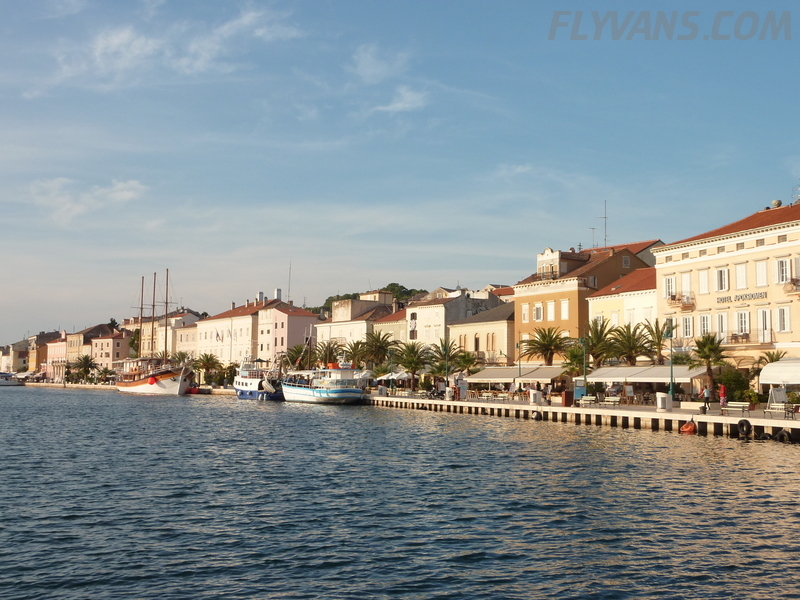 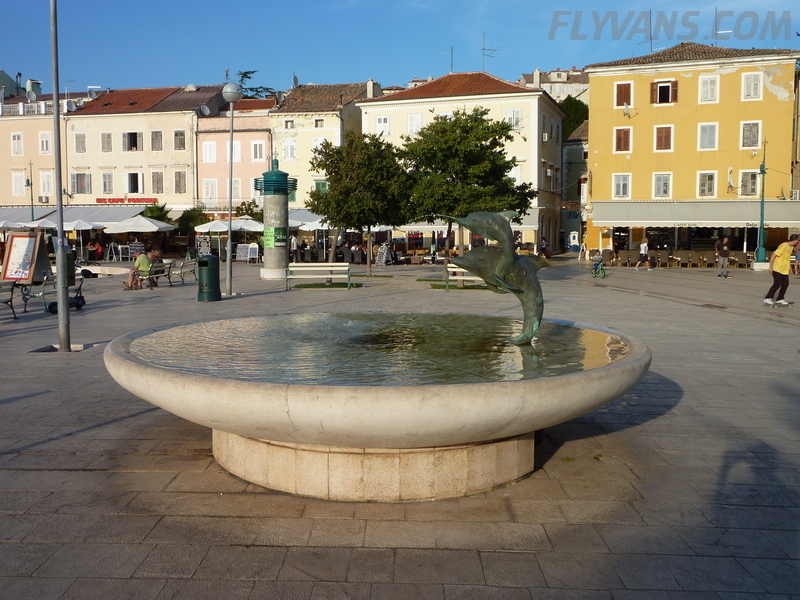 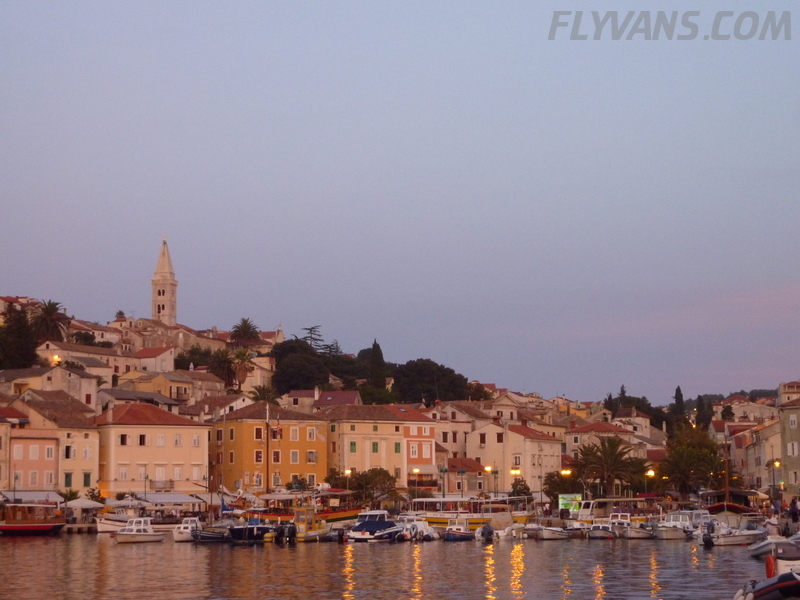 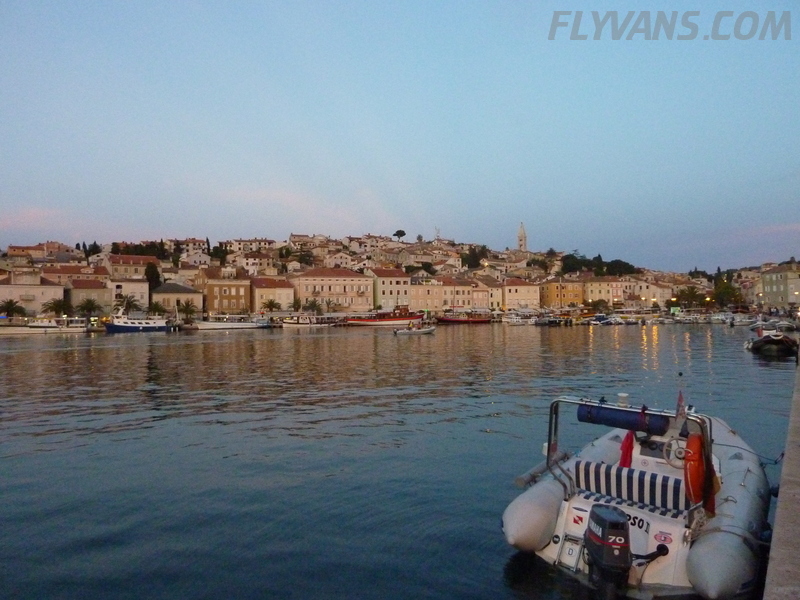 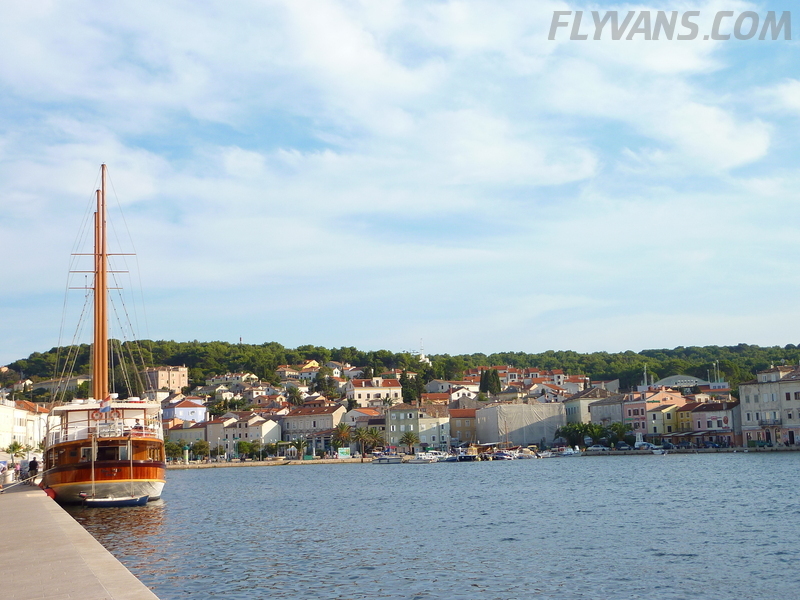 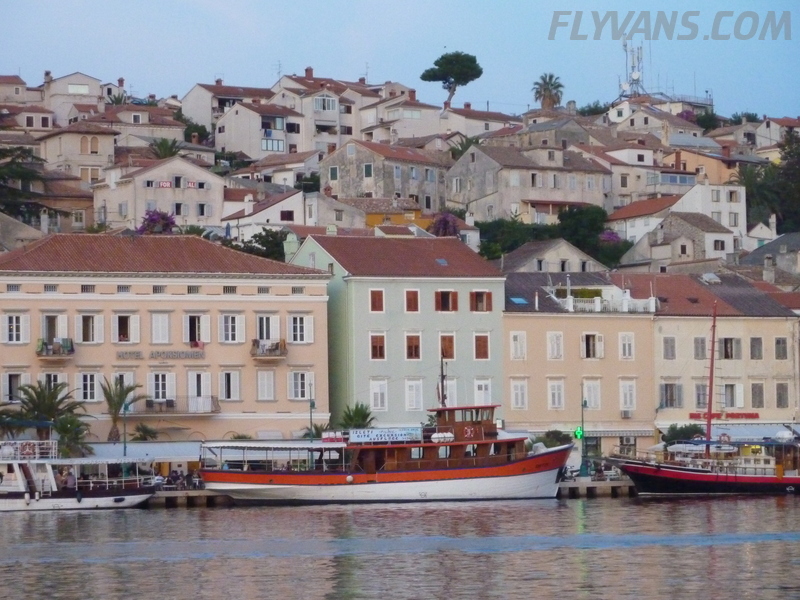 Since we only spent one night in Losinj, we barely caught a glimpse of what the island has to offer. 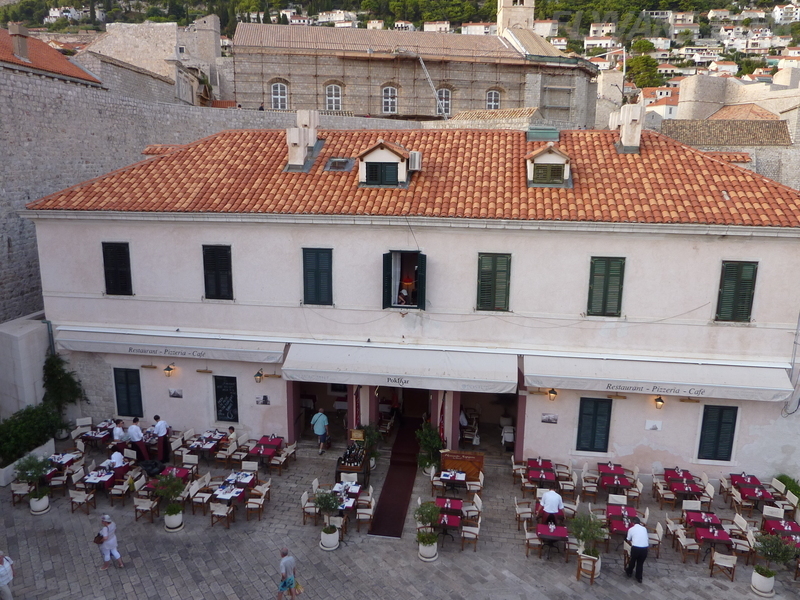 The “Mare Mare Suites” Hotel was very nice and we ate some great fish at restaurant “Barracuda”. 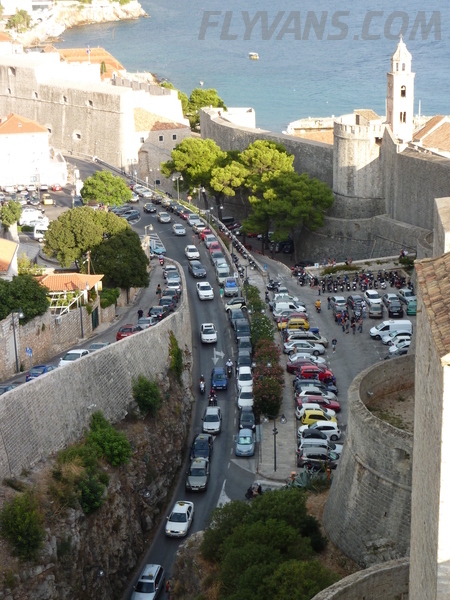 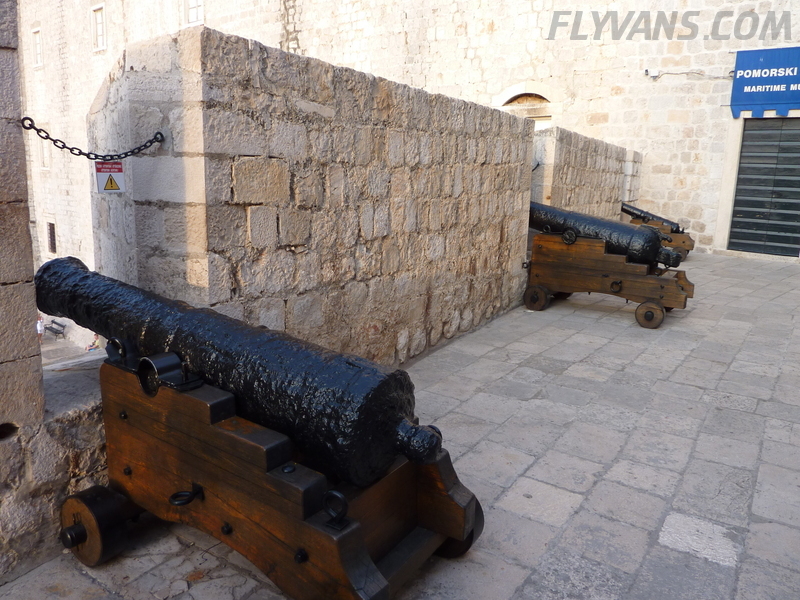 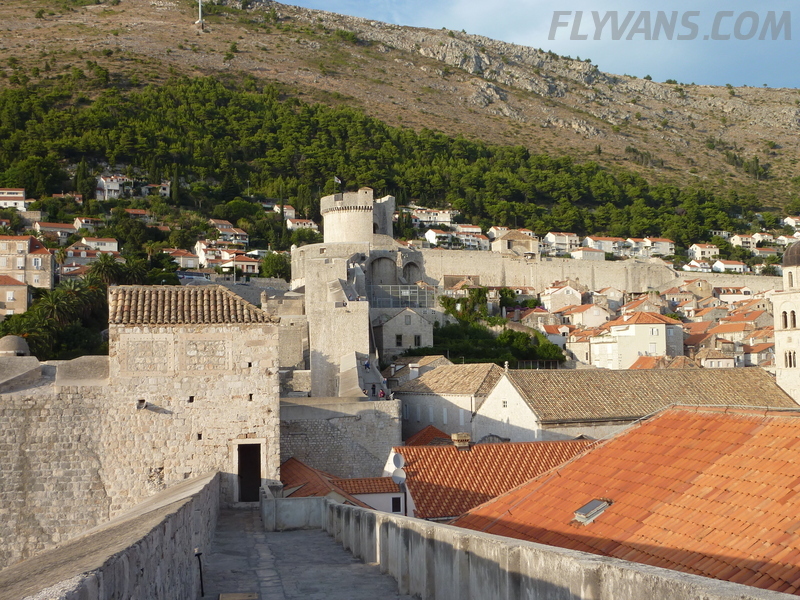 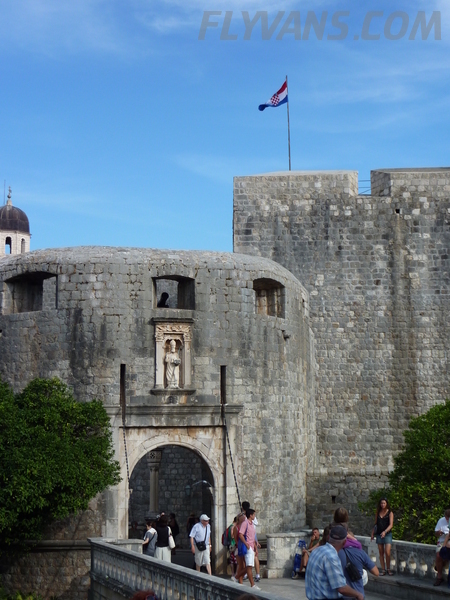 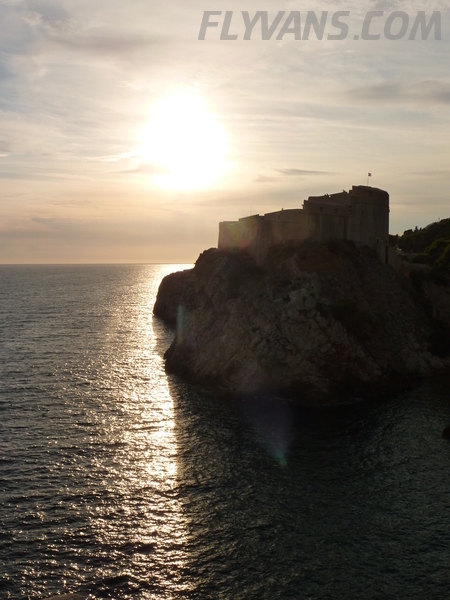 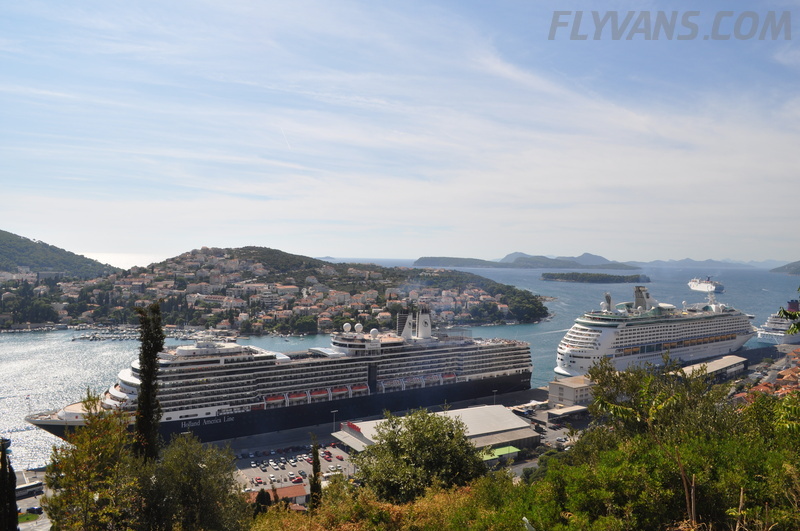 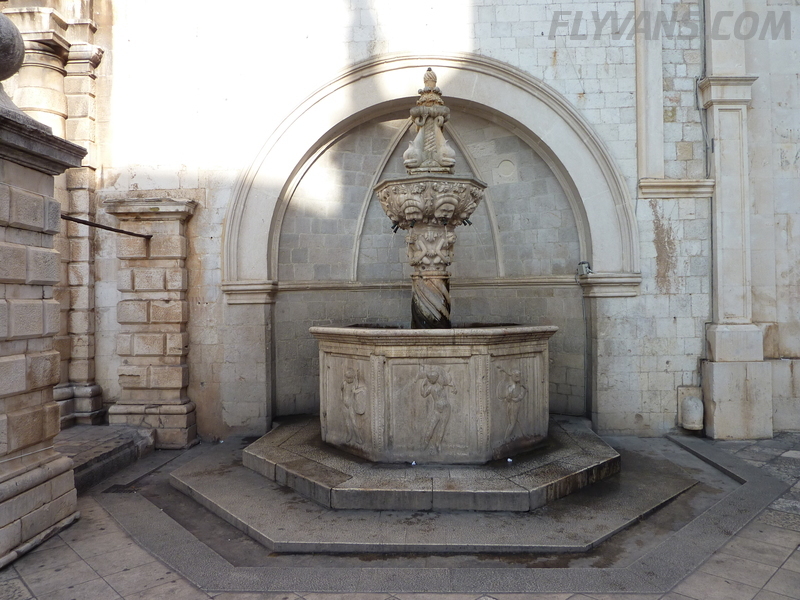 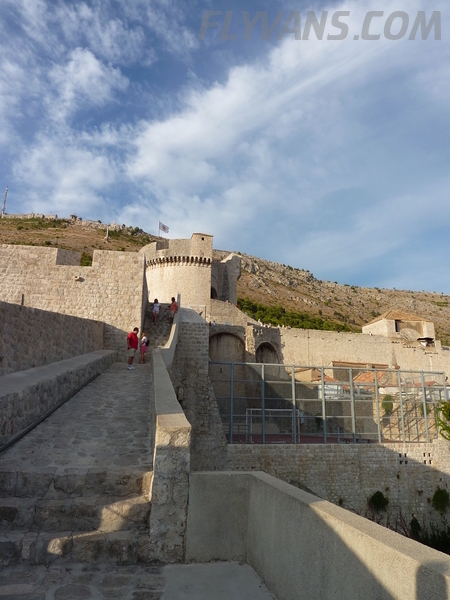 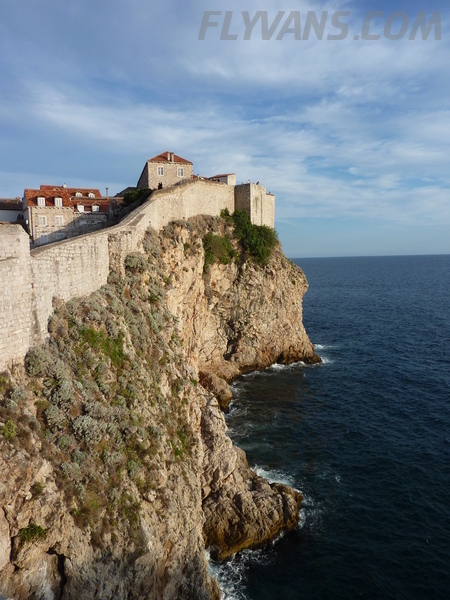 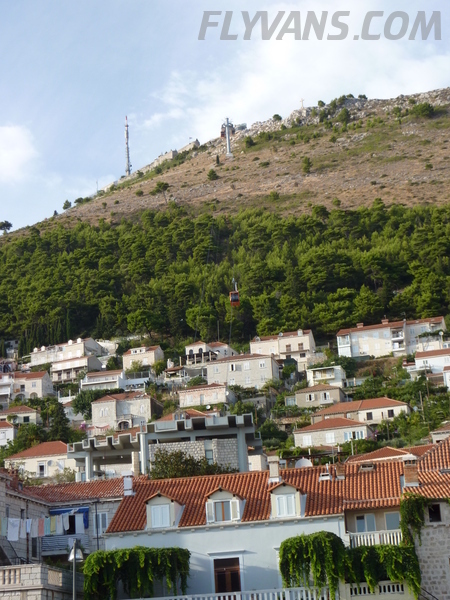 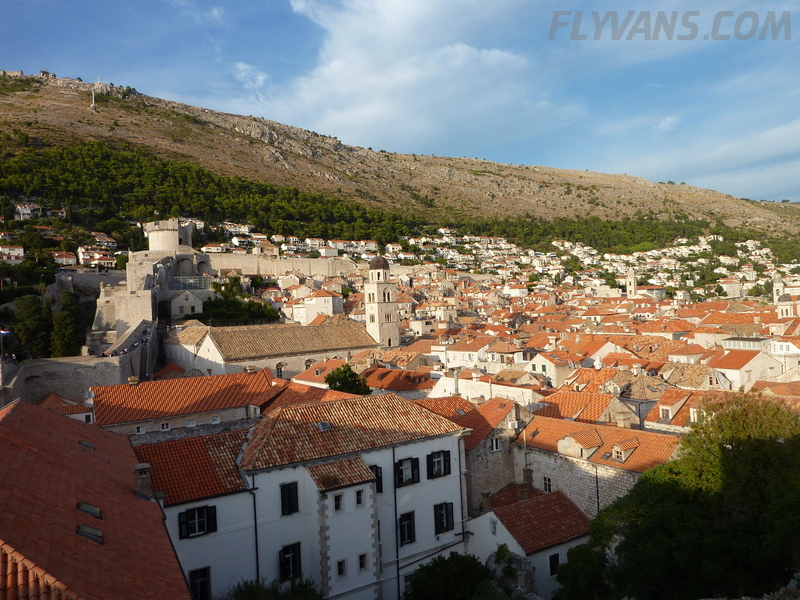 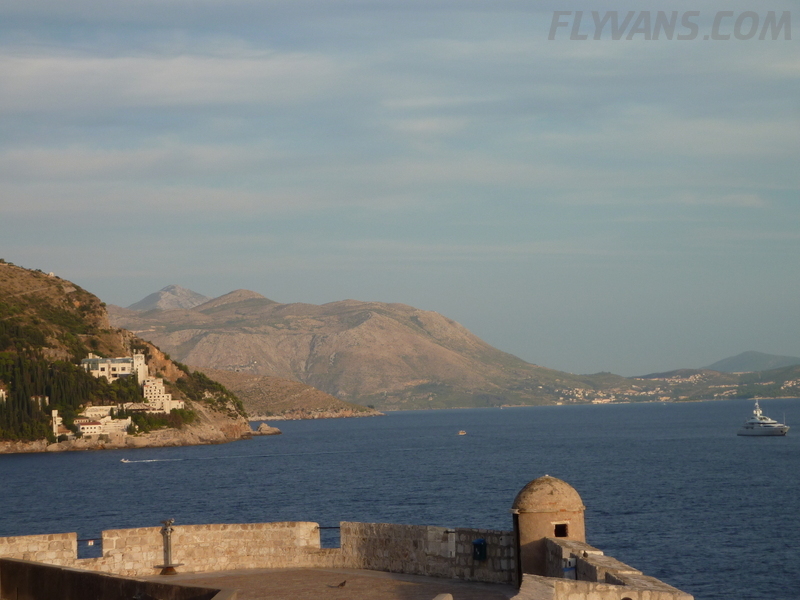 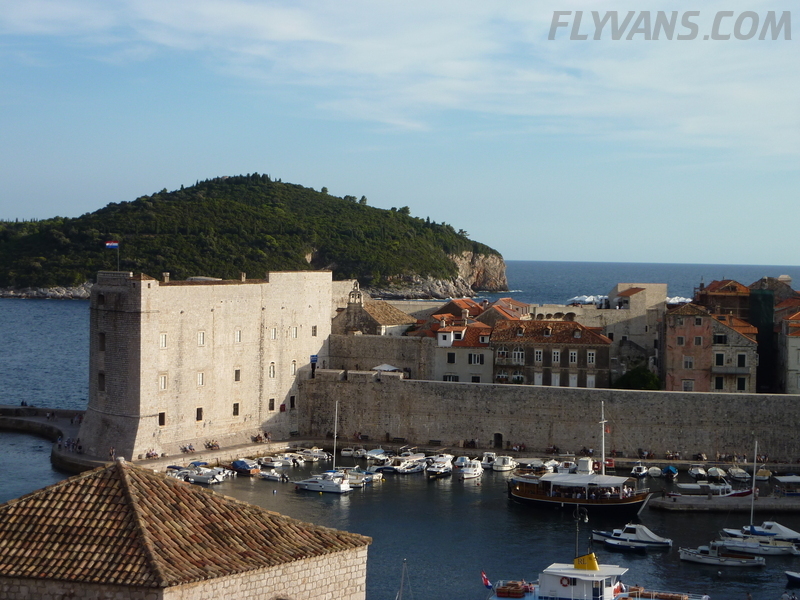 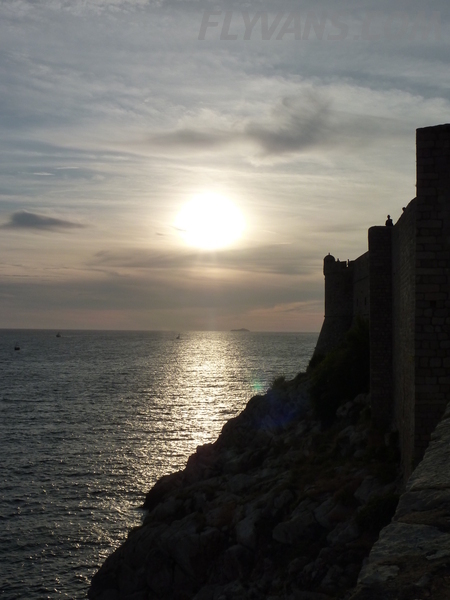 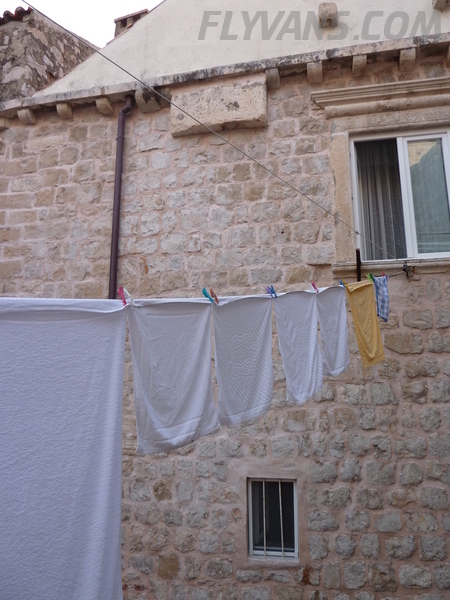 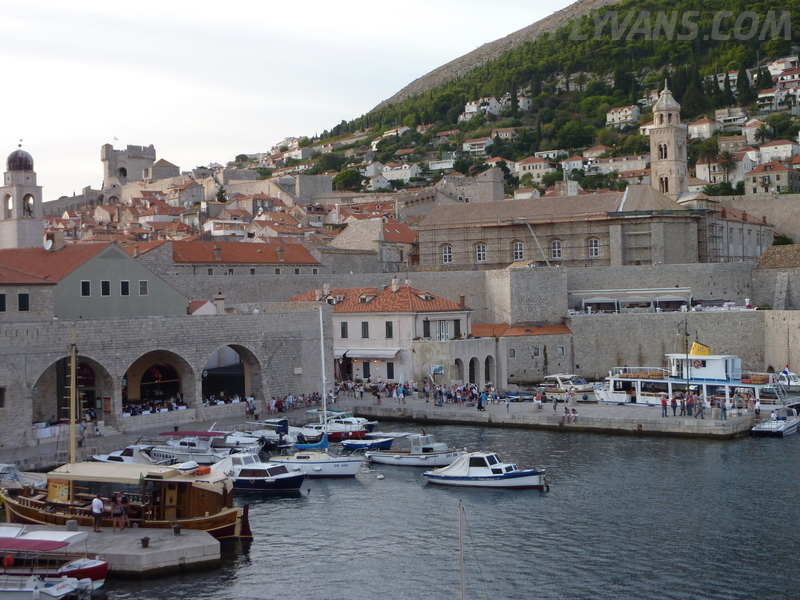 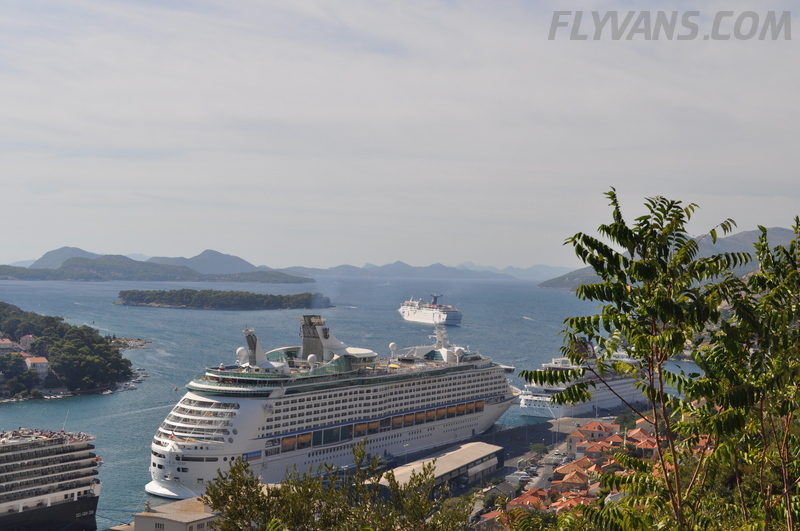 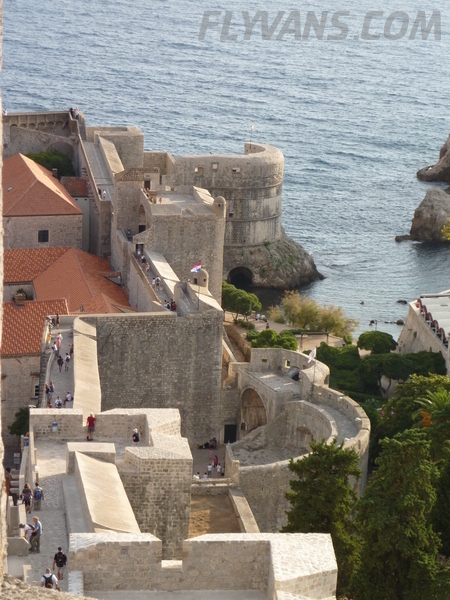 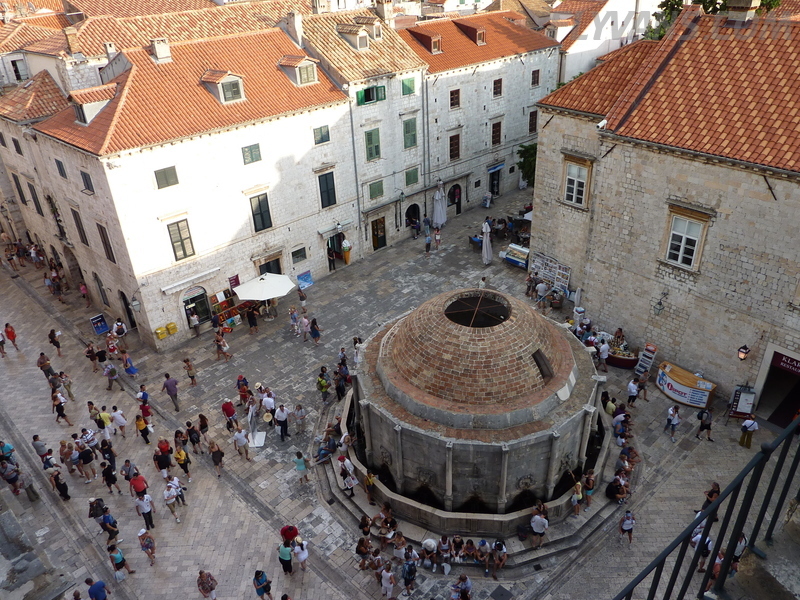 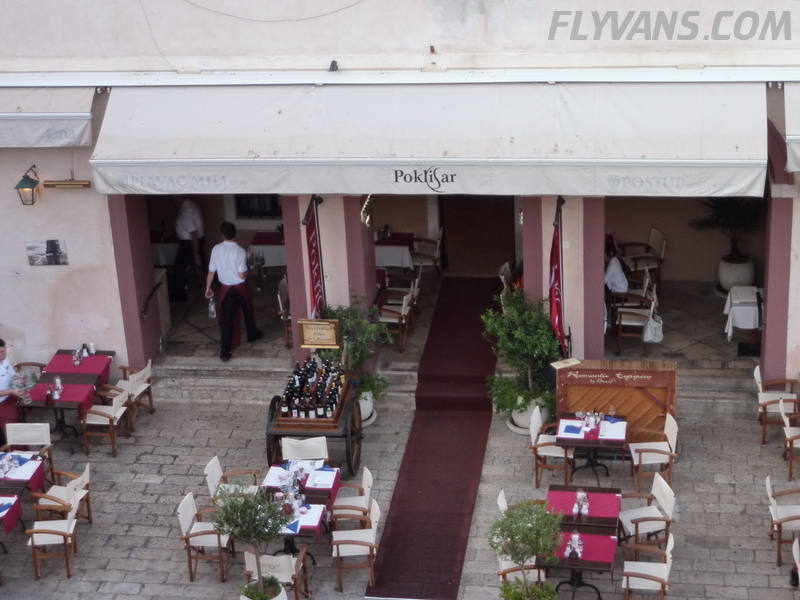 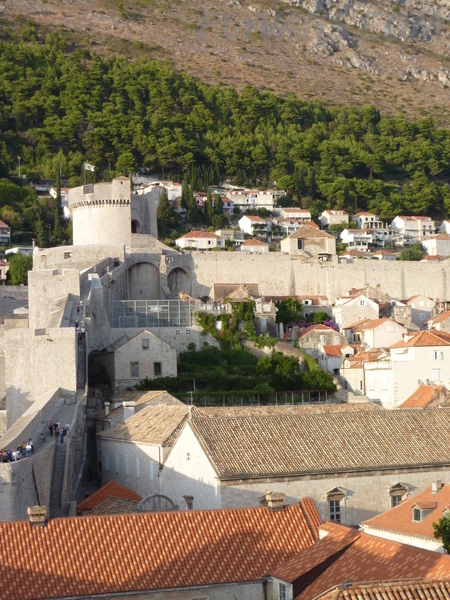 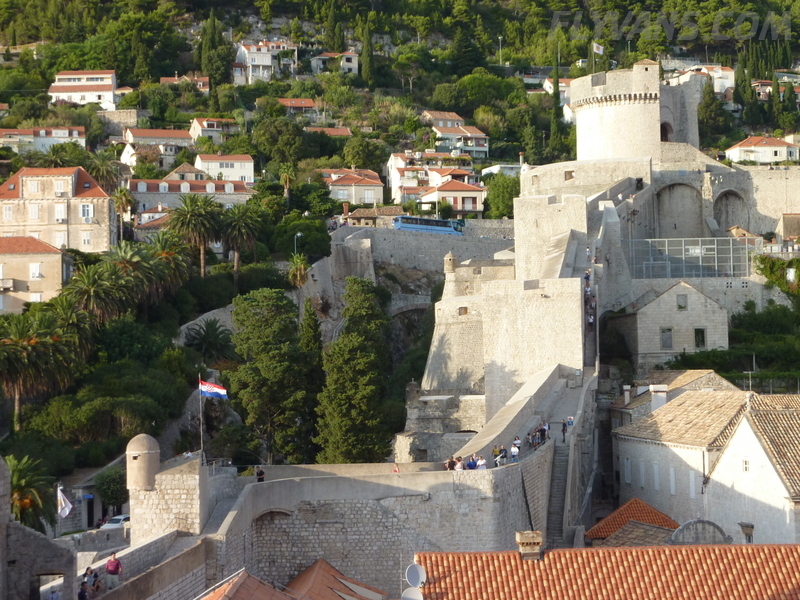 After another nice stay at the Arkadion Hotel in downtown Kerkira, we left Greece for Dubrovnik, Croatia. 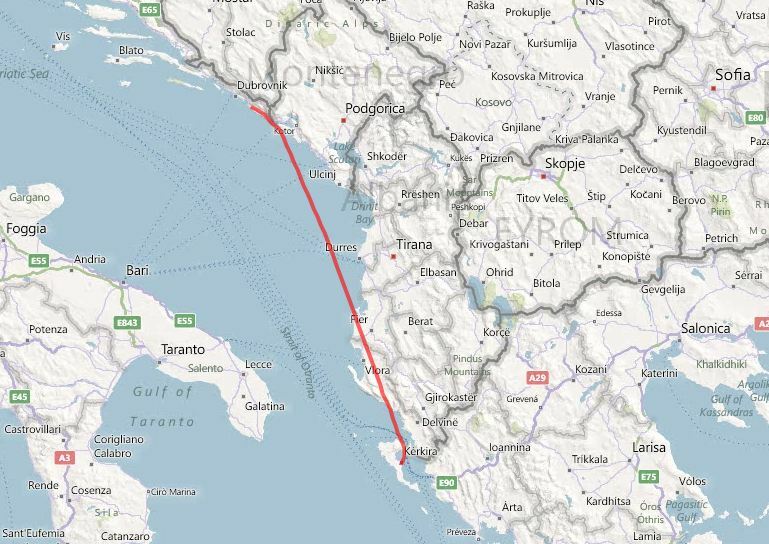 This leg was quite interesting in the planning phase as there is little documentation to be found, e.g. 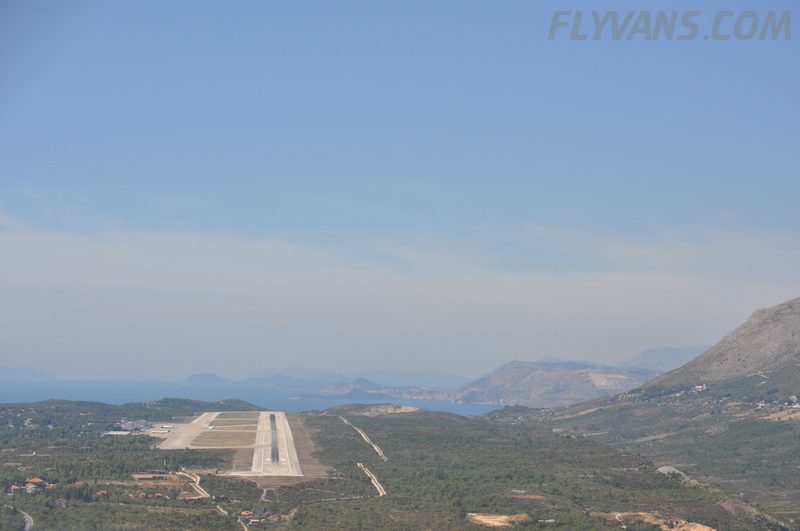 on Airspace and Procedures in Albania, which is a “black hole” what General Aviation is concerned. 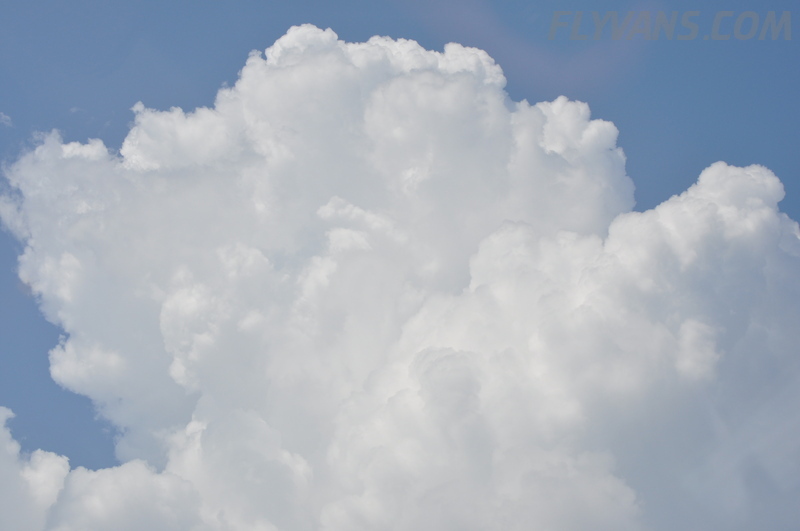 Also, several FIR’s were involved. 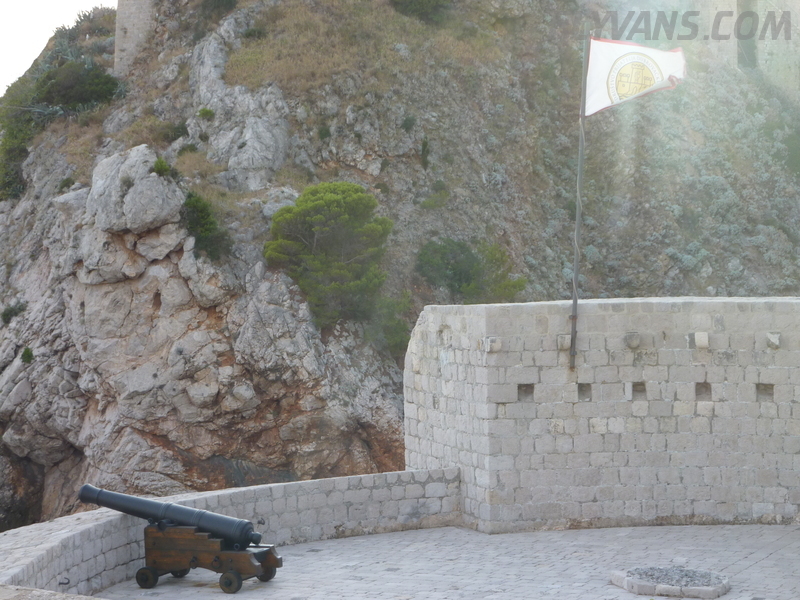 Again, flying the leg turned out to be much easier than expected. 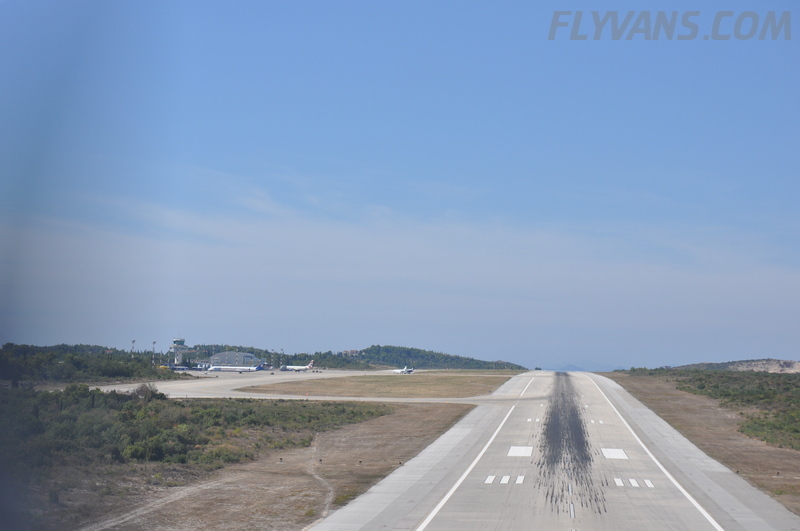 Controllers were very professional with good English, even in Albania and we were able to cruise at FL85 on what turned out to be almost a direct to destination track. 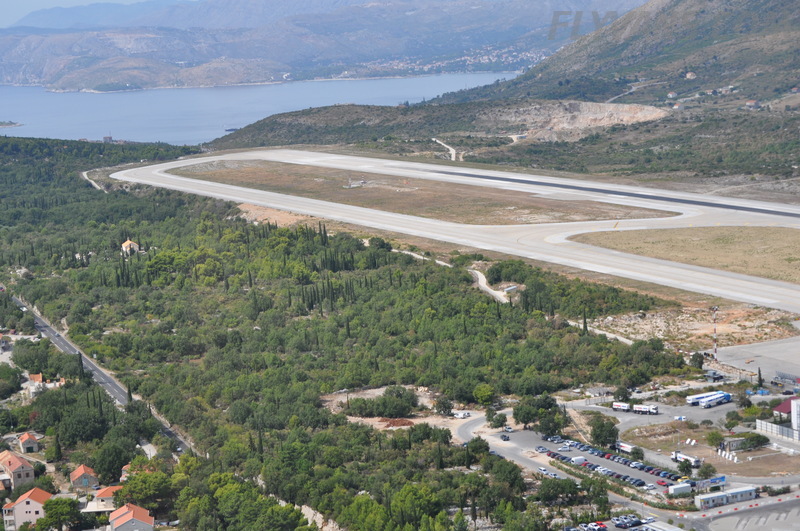 Apparently, the biggest problems in that area are to be expected from flightplan submissions going wrong (i think it has to do with systems unable to detect all FIR’s crossed if you don’t file the right waypoints) and then the flight being rejected. 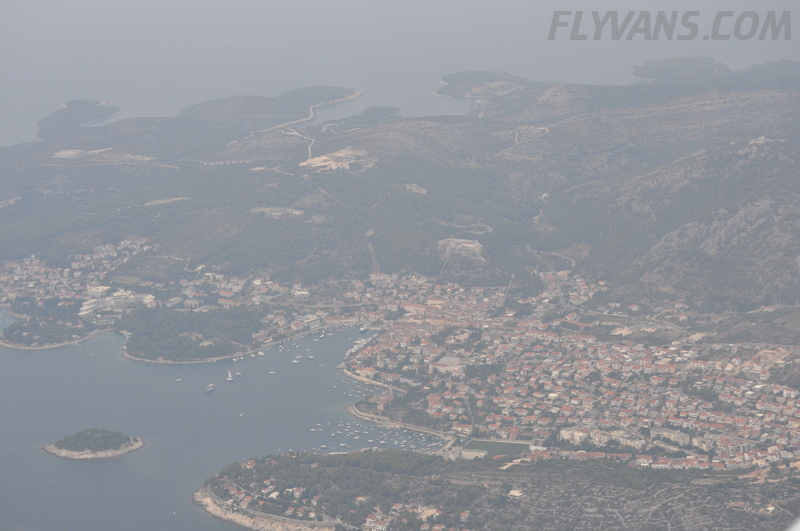 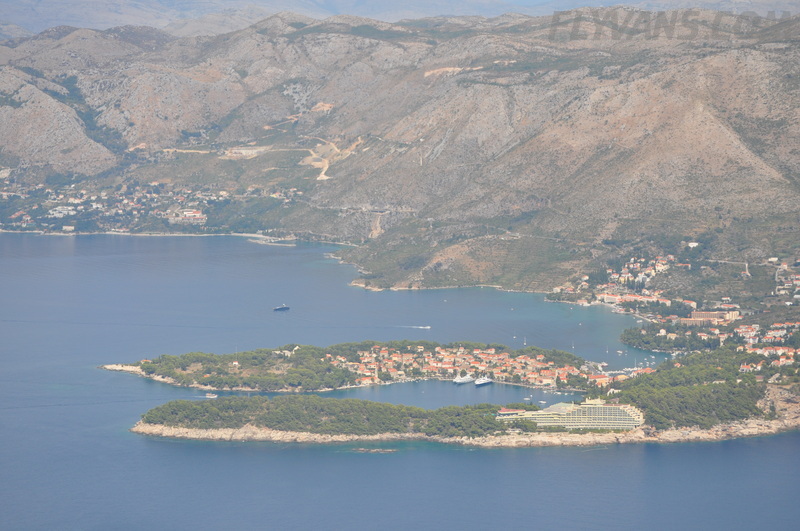 Fortunately, our submission through homebriefing worked fine and in no time we were on approach to Dubrovnik. 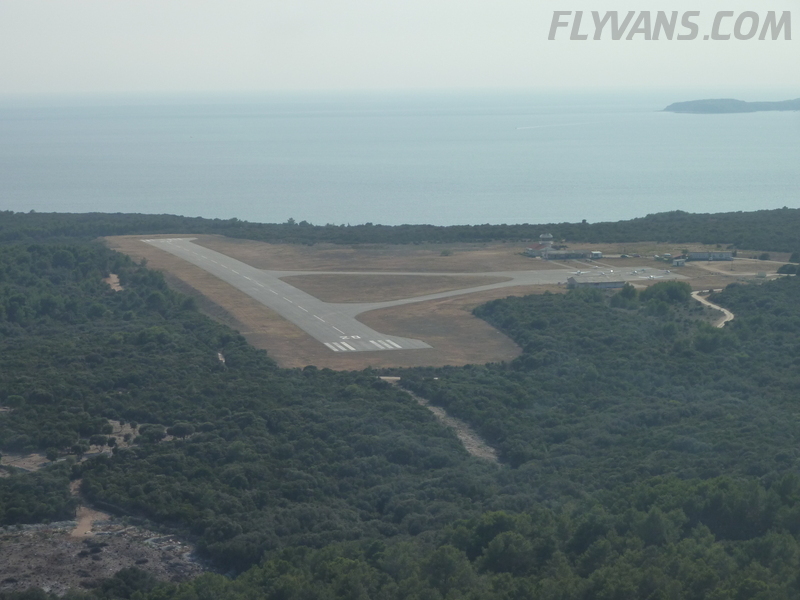 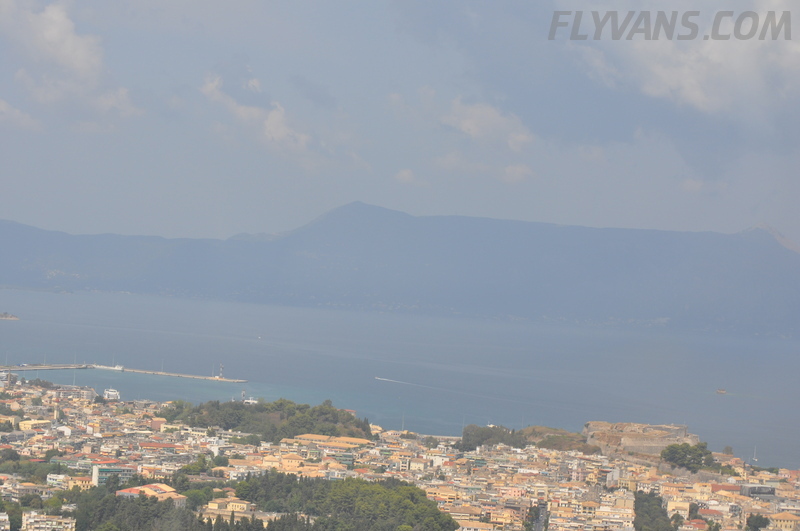 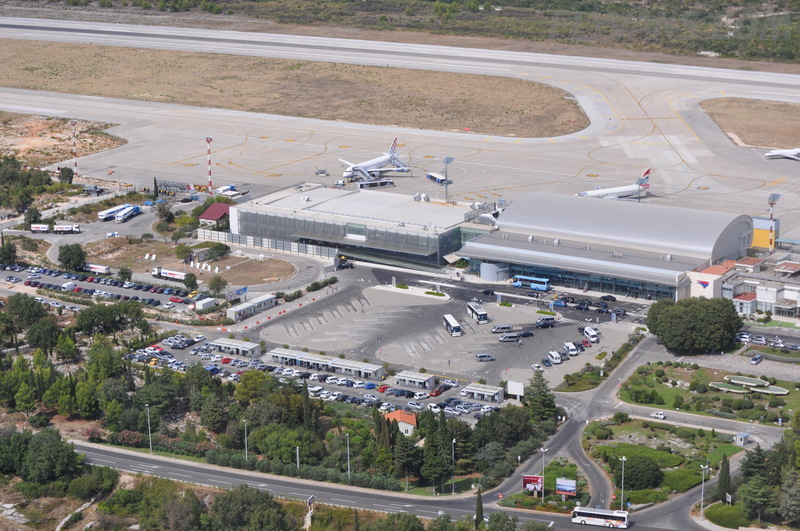 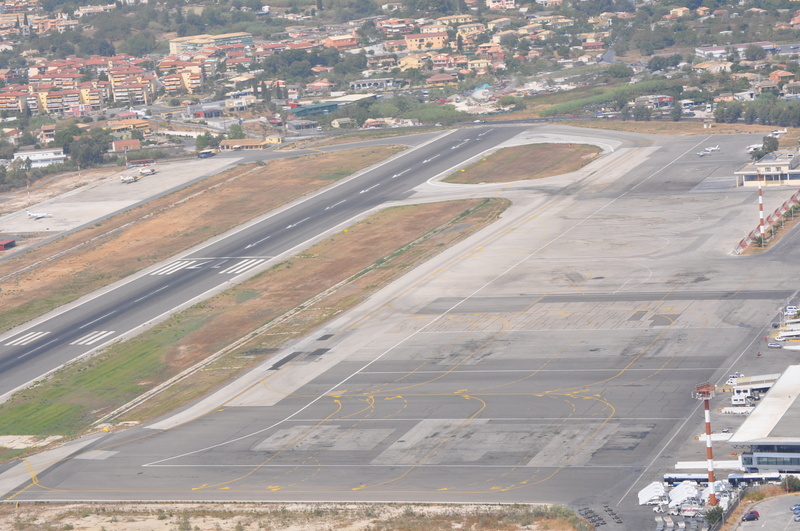 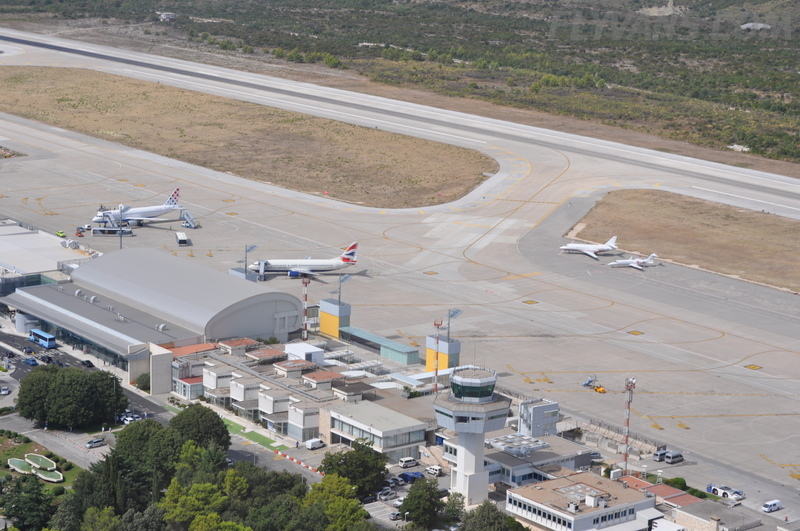 The airport is situated on a small elevation above the sea, with the runway being of the curved hilltop type. 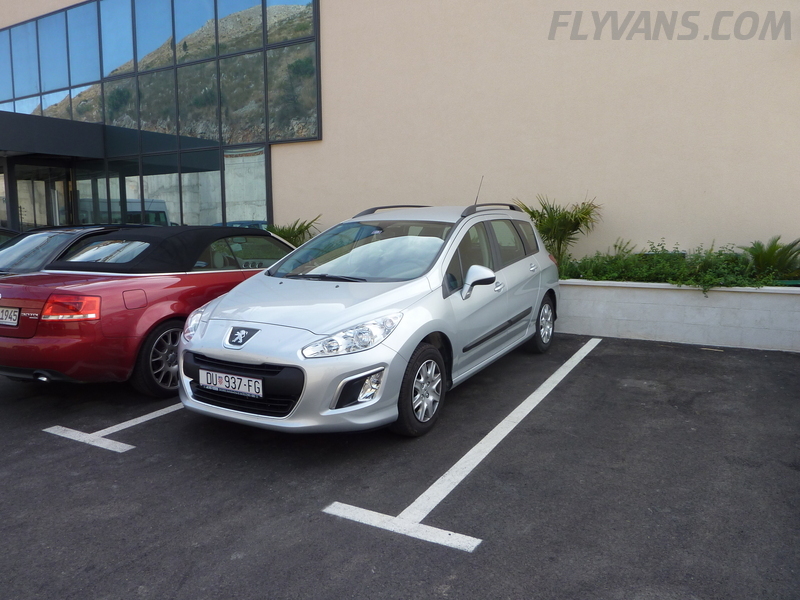 This made for a firmer than usual landing, not bad, and the visual impression of the uphill slope just feels very weird. 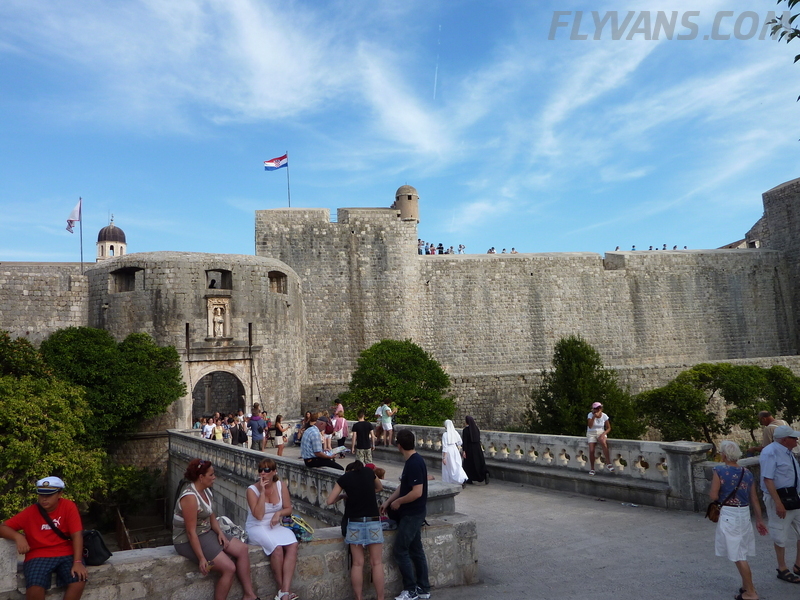 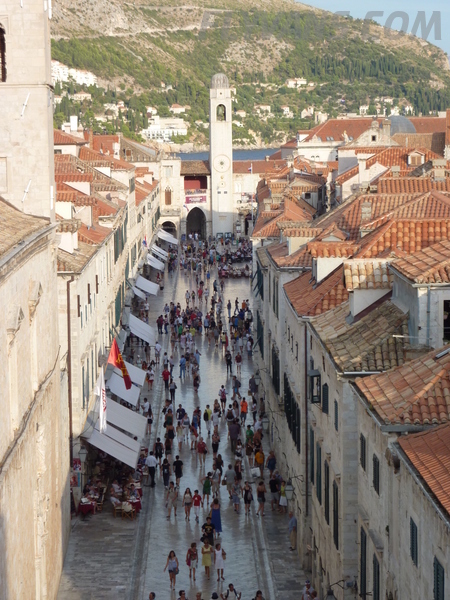 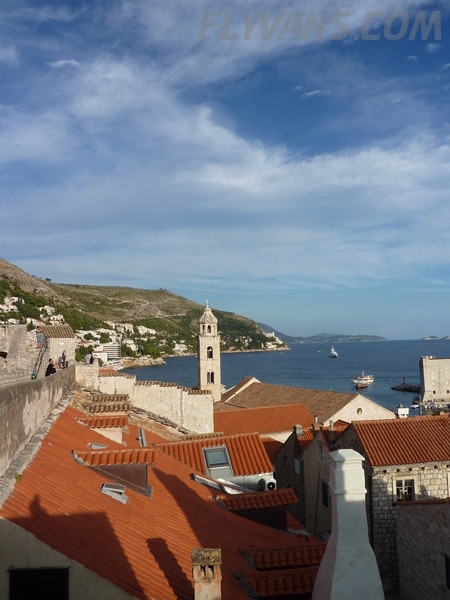 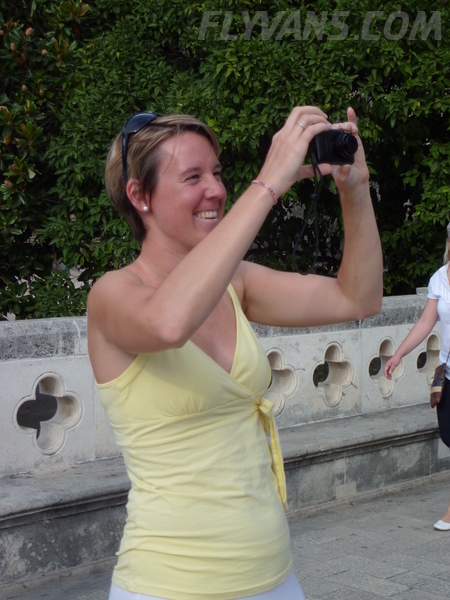 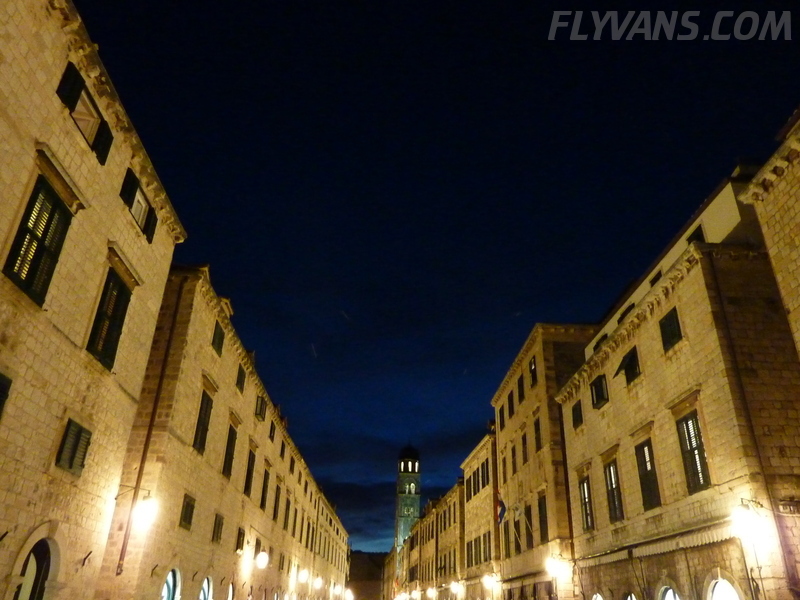 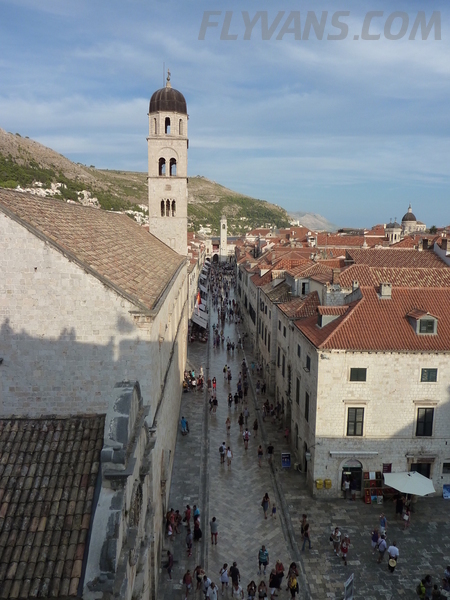 Dubrovnik itself was excellent, nice old town and good food, as in Greece. 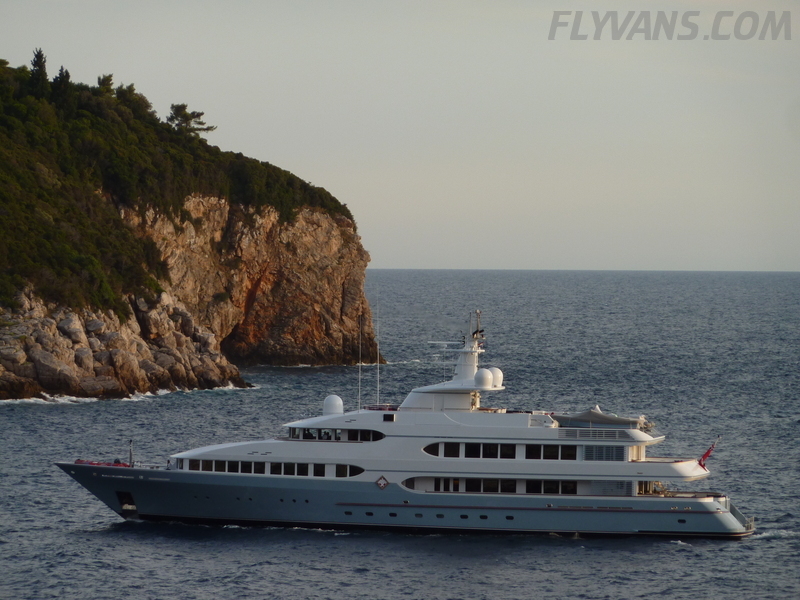 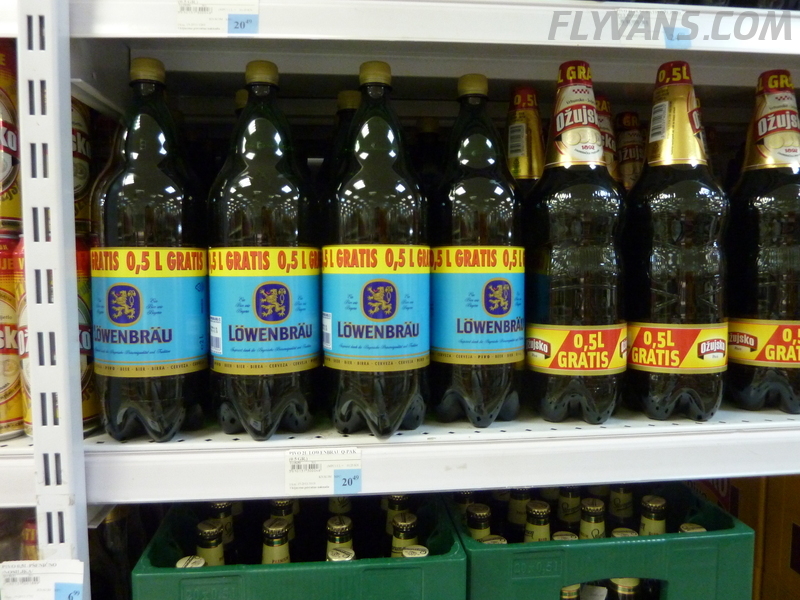 However, in comparison, price levels are significantly higher except for maybe Santorini. 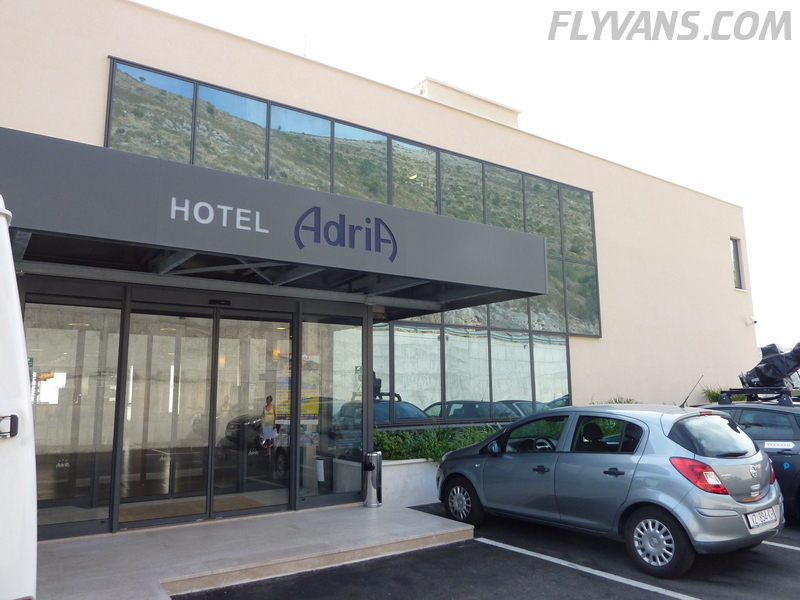 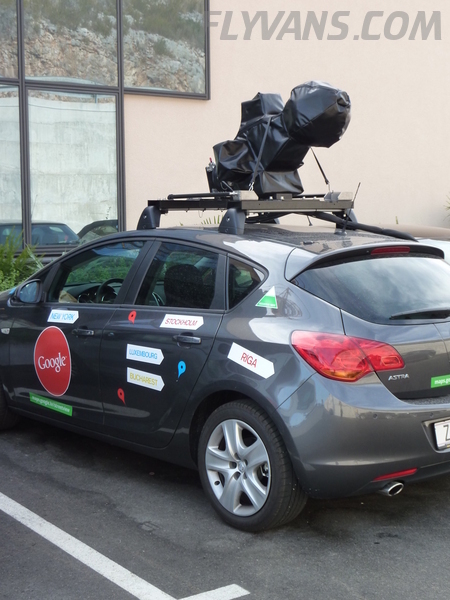 Stayed at a great and new hotel “Adria” situated above the new port, but only recommended if you have a car available.